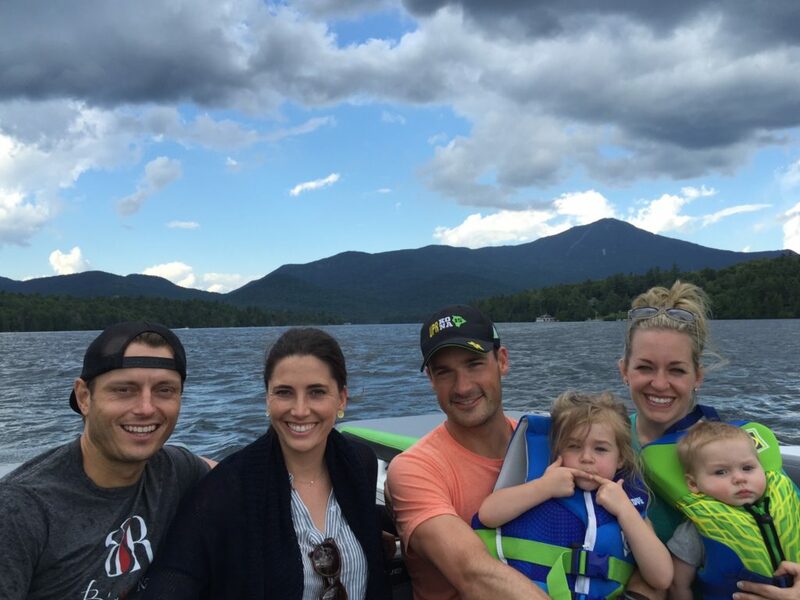 Getting to Lake Placid was a journey in itself. I was a bit worried how the kids would handle the trip, but it ended up being a lot smoother than I thought. Our journey started on the Tuesday night before the race with a drive to a hotel near SFO. Then, on Wednesday morning we had a 6am flight to JFK followed by a 2 hour car ride to Poughkeepsie, NY, where we had another hotel for the night to break up the trip. Thursday morning, we finally made the 3 hour drive the rest of the way to Lake Placid. That’s a lot of travel with 2 kids, a giant stroller, and my bike (or my 3rd child as I often refer to it as). I was definitely pretty wiped by the time we arrived to our hotel in Lake Placid on Thursday afternoon. At least on Thursday all I had to do was the athlete check-in and put my bike back together. 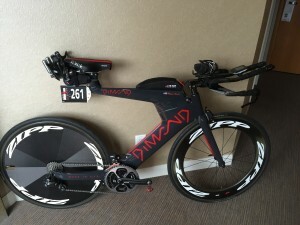 Friday before the race, I started the day with a quick, 45 minute ride to check out my bike. This is where I first got sense of how hilly the bike course was going to be. 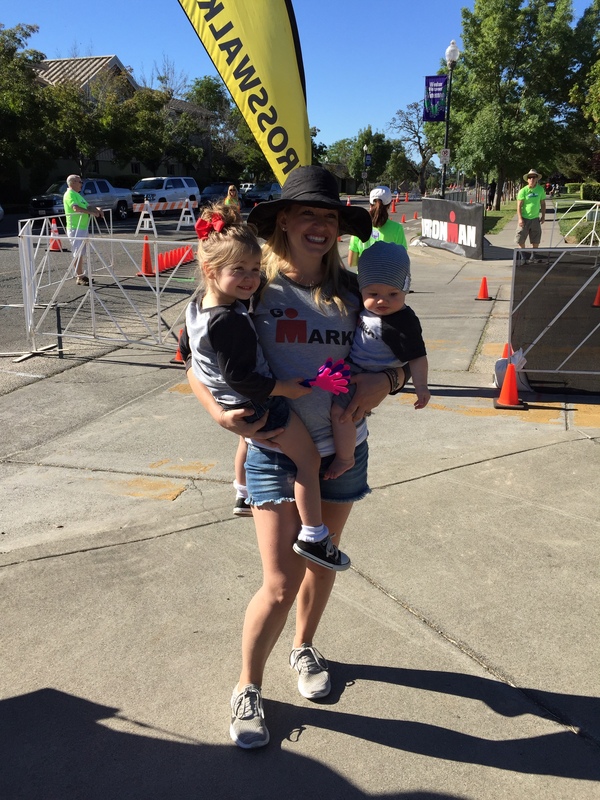 We also had Iyla do the quarter mile kid’s fun run as her first ever race. She did cry half the run though. 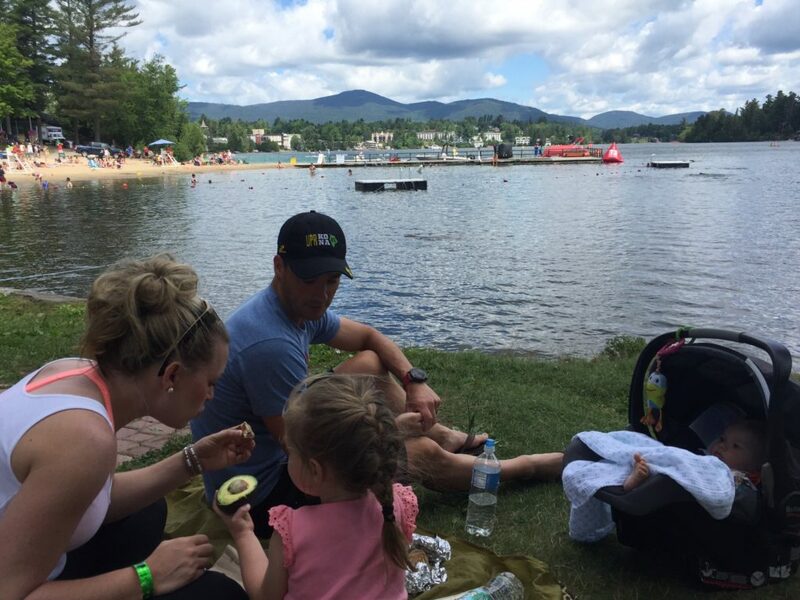 After the race, we went on a boat tour of Lake Placid right before grabbing causal pizza to eat at the park during the Ironman opening ceremony. Saturday, I ended up naturally waking up early and then went down to Mirror Lake for a 30 minute, 1-lap swim around the swim course. The water was super warm and the lake was flat, which was a great way to start the morning. Camille ended up doing a stand-up-paddleboard yoga class while I played with the kids in the park. I then gathered my bike and run gear and made my way down to bike check to drop off my bike and gear bags in transition. After lunch at the beach we took a taxi to our next activity which was pedal rail cars. This is basically like a paddle boat or 4-person bicycle, but on a rail car. 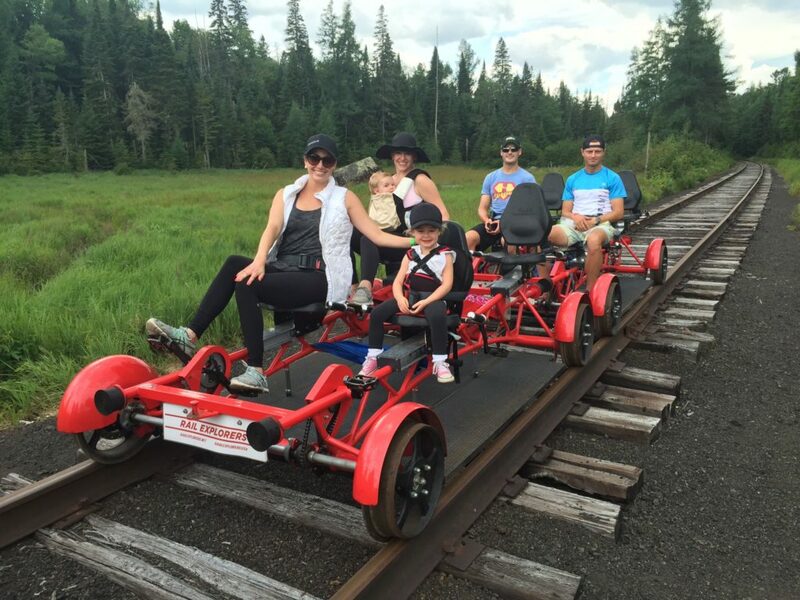 You have a 2 or 4 person rail car you need to pedal down a 7 mile rail track. This was probably not the best thing to do the day before an Ironman. It’s basically like doing a 2 hour bike ride in the heat (or in our case rain and hail). It was a really pretty way to see the lakes and forest, but it did start hailing marble sized pieces of ice, in addition to pouring rain, which made for an exciting (and painful) experience. After getting cleaned up and dried off we had our pre-race dinner at a small Italian restaurant. Camille took the kids out after dinner so I could relax a bit in the hotel room and get my stuff setup for the morning. She also put both kids in the hotel bed and gave me the pull-out sofa in the living room, so I could attempt a better night sleep on my own. My alarm went off at 4:30am. Pretty painful considering I wasn’t exactly used to East coast time yet. But I did get decent sleep considering race nerves, jet lag, a very uncomfortable pullout bed and 2 kids nearby. Luckily our hotel room had a fridge and microwave. So I immediately zapped my coffee in the microwave to warm it up and started making breakfast. I had a couple bowls of granola with milk and a banana with chocolate hazelnut spread. This was a pretty indulgent breakfast which I really enjoyed. 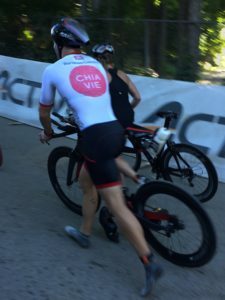 I got dressed in my race kit and gathered my bike bottles and made my way to the lobby to meet Chuck for the 8 minute walk down to transition. I got to my bike and pumped up the tires, put my nutrition and water bottle on the bike and clipped in my shoes. They make you leave your morning clothes bag in transition, so I needed to change into my wetsuit and lather up with body glide before the walk to swim start. 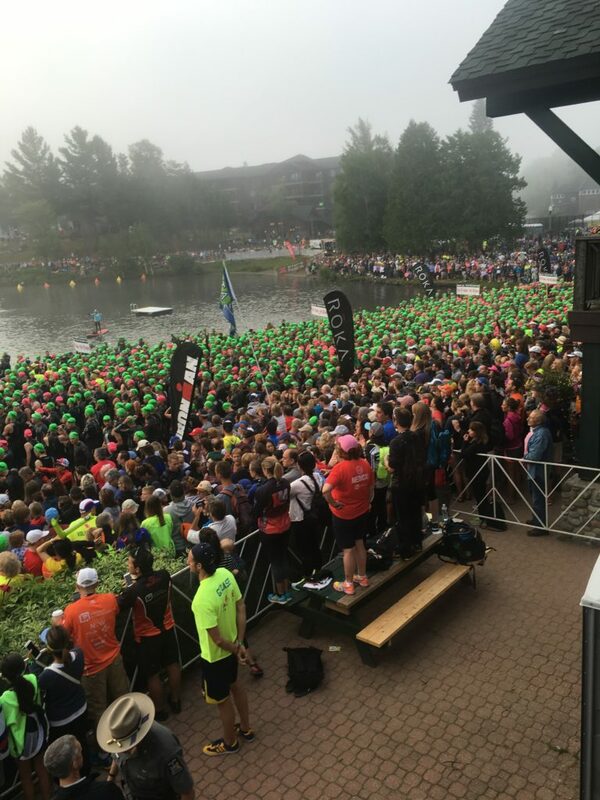 Swim start was a zoo. Lots of athletes and spectators. I tried to hang around the gate they would eventually open in order to get a good spot in line. The swim was a rolling start and was self-seeding, so you were supposed to seed yourself in line based on your swim time. I wanted to make sure I got close to the front with the 1 hour swimmers so I could have a better opportunity for less chaos once I got on the bike course. I eventually found Camille and the kids who were hanging out in the VIP swim viewing area. We took a few pictures before I took the last few minutes to mentally focus on the effort of the day. 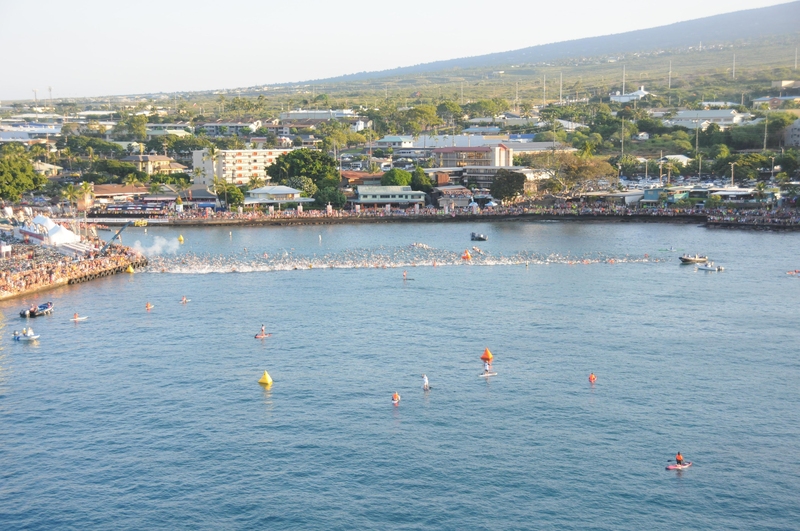 After the horn went off, I followed the masses of people who were surging towards the swim start timing mat. I ran a few steps in the water before diving in. Right away there was a lot of contact. I really didn’t want to surge my effort too much at the beginning and kept having to remind myself this is a full Ironman and a long day… no point in over-doing it right away. The swim course is pretty much an out and back in the lake. After loop 1, you run out of the water onto the beach and then back into the water for lap 2. On lap 1, on the way out, I did think there was a lot of contact given that it was a rolling start. I definitely had to fight a bit for my position. It’s really amazing how aggressive and hard everyone can swim given the length of the event. 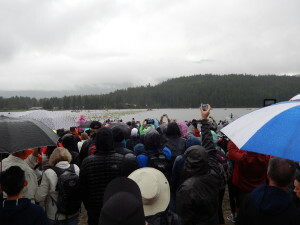 It’s also amazing how at every race there are a handful of people that just randomly swim perpendicular to the course and plow through everyone. I’d be swimming along, and one of these people would just nail me from the side going the wrong way. It’s nuts. I wasn’t able to get a good line on the first loop. I had to swim way to the left of the buoy line in order avoid people. 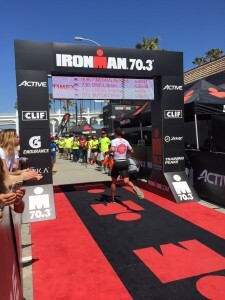 During the first lap, I also was reminded of how long an Ironman swim is. Coming off Vineman 70.3 just 2 weeks prior, I kept thinking I was doing only 1.2 miles. During the entire swim I was just reminding myself to be conservative and to back off in order to keep my heart rate down. 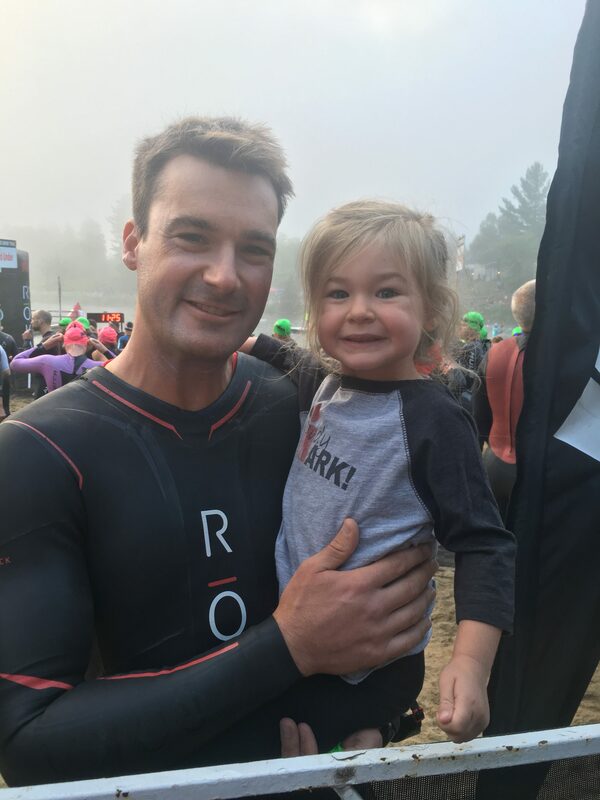 The first half of the second loop was my favorite part of the swim. I was almost on my own this whole section. I was able to hug the buoys and follow the underwater cable which stretches along the whole swim course. After I hit the turn around on the second loop, things got a little worse as I began to hit the back end of the people on their first lap. This last section, was just dodging people and trying to stay out of everyone’s way, while maintaining as much of a straight line as I could. I finally made it to the beach after the second loop. As I got out of the water, I put my goggles on my forehead and tried to reach my wetsuit strap to strip down the top half. I think I have problems doing 2 things at once, like running and taking off a wetsuit. By the time I got to the wetsuit strippers, I hadn’t gotten anywhere and my wetsuit was still fully on. I had to ask the strippers to help unzip me and strip it down off my torso before jumping to the ground to have them rip it off my legs. If I ever volunteer at an Ironman, it definitely needs to be as a wetsuit stripper. I bet it’s a blast throwing people on the ground and ripping off their very expensive wetsuits. I even got a quick cramp in my hamstring as I jumped from the ground, got my wetsuit pushed into my arms, and sent on my way towards T1. I tried to run through the cramp and luckily it went away right away (close call). The run from the swim exit to T1 is insanely long. It’s like a quarter mile. And everyone seems to want to run 6 min mile pace here. I got passed by like 5 people on the run in to transition. In transition, I grabbed my bike bag and ran into the changing tents. The volunteers were really awesome. I sat down at a chair in the changing tent, dumped the contents of my bike bag on the ground and a volunteer picked up my wetsuit, goggles and swim cap and put them in the bag for me. I quickly (okay, slowly) put on my socks, helmet and glasses and then ran out of the tent to my bike. Right out of transition on the bike is a nice downhill through the town. 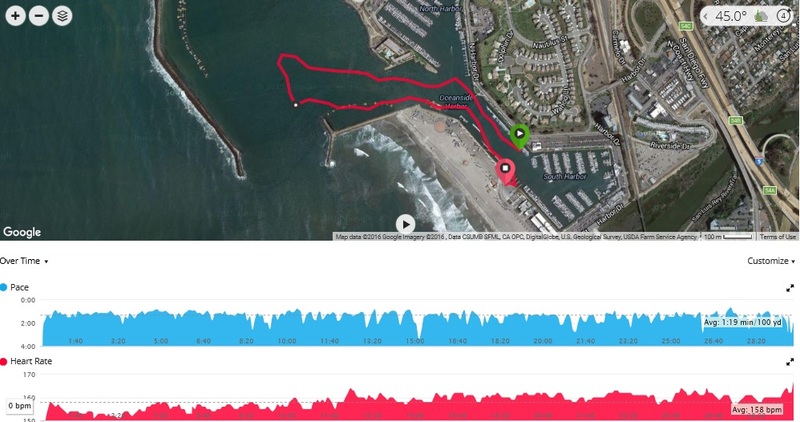 This was really nice because it gave me time to get my heart rate down from the swim and transition and offered a little break before the long ride. The downhill lasted a few moments before the climbing began. The first 8 miles is a long climb. At least the temperature was pretty cool still and my energy was high, so the climb didn’t feel that bad. After the climb there is a very long decent to the town of Keene. The downhill is really pretty at times, passing streams and lakes. It was nice that the downhill was steep enough that I didn’t even have to pedal much. I tucked into a low aero position and just ripped on that downhill. I hit over 51mph, which I haven’t done since high school (when I was young and stupid). There were definitely a couple of sketchy moments on that downhill though from a couple bursts of wind. Nothing like a little wind and a disc wheel going 50 miles an hour in spandex to get the heart going. After we got into Keene, the course seemed to flatten out a lot and I was able to find my pace. I wanted to try to be more aggressive in my pacing at this race to see what happened. I wanted to make sure I had enough in me for the run, but try to push a bit harder on the bike to see if my running would still hold. I can’t say enough for how pretty the bike course is. It’s really a great tour of the mountains through the forests, streams and lakes. It’s really something amazing. I tried to enjoy the scenery as much as a could while focusing on my power and nutrition. For the first loop of the bike course, I planned on 300 calories the first hour and 200 each additional hour from UCAN. I also started the bike with a bottle of Skratch Hyper Hydration to load with sodium right away. I would also do 4 SaltStick caps per hour with the water I got from aid stations. I tried to hit 1.5 bottles of water per hour at a minimum, but I lost track while riding, so just filled up every aid station and drank as much as I could comfortably. 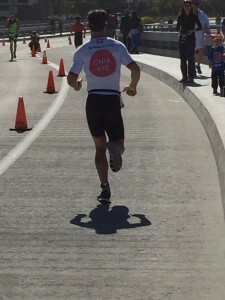 The plan for the second lap was to pick up another bottle of UCAN to continue with 200 calories per hour and also pick up another bottle of Skratch Hyper Hydration for another huge dose of sodium. In all, I drank probably 85% of my first bottle of UCAN and 80% of the second bottle, so I did under 200 calories per hour on the bike. After a bunch of flat and rolling hills on the first loop we had the long climb back up to transition. This was a lot of time just climbing and sweating. At the top of the final climbs there was great crowd support which really helped with the motivation. After almost finishing the first loop I was already starting to feel a bit tired. I stopped in at Special Needs to grab my extra nutrition and then was off on my second lap. The second lap seemed a bit more monotonous than the first. It was getting a little harder to keep my power numbers as high as the first loop. At the bottom of the first long decent when I was able to really focus on my pace, I started counting down the miles. 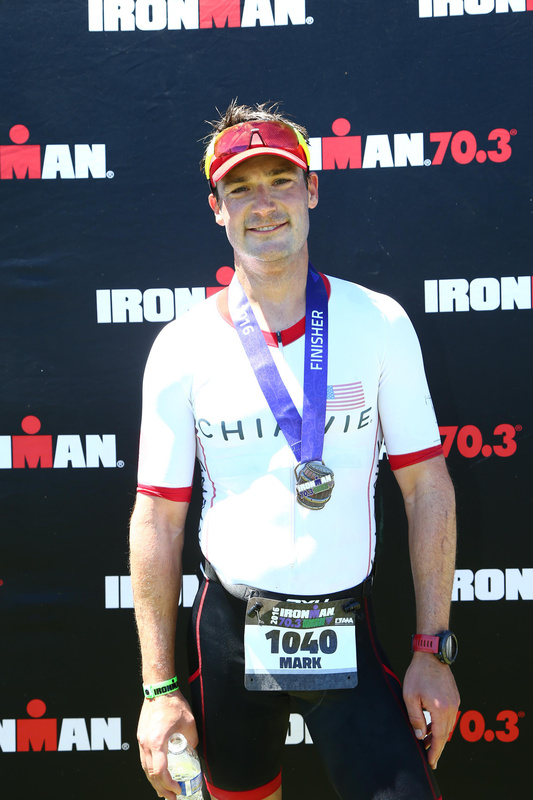 Ironman really is about managing discomfort (until the end, when you’re managing extreme discomfort). This is where I start setting small goals, like getting from mile 80 to mile 90. And I compare that goal to something I know from home. So, if I only have 10 miles to my next goal, then I tell myself that 10 miles is just like riding from Del Rey Oaks to home (something I do all the time). There were a couple sections on the second loop where I really wasn’t around anybody. Sometimes I couldn’t even see anyone in front of me. It was pretty lonely. The last 20 miles really seemed to drag on. My power was still good, but not as good as the first loop and not as good as I wanted it. Plus, it was starting to warm up into the 80’s so it just felt harder to ride hard. The crowd support on the last climb of the second loop also kind of dulled out. I guess even the spectators were getting tired. I also got a big cramp in my left quad on one of the last climbs. This really worried me because you never know what’s going to happen with a cramp, it can really bring things to a halt quickly. I was lucky that a quick massage with my hands made it better. I finally made my way back to Mirror Lake and to the last couple downhill miles to transition. I was really looking forward to getting off my bike and doing something different (even running). I hopped off my bike at the dismount line, handed my bike to a volunteer and tried to run the best I could to my run bag and changing tent. My feet were super stiff and painful trying to run off the bike, which wasn’t a good sign. I think I limped into transition more than ran. Coming out of transition, I had grabbed my last water bottle of Skratch Hyper Hydration, for another hit of sodium as I started to run. I tried to drink a few sips from the bottle as I ran, but my stomach wasn’t really sitting well. Right away I was worried about running a marathon in the heat of the day when my stomach just wasn’t right. I also had to pee really bad. I ended up stopping at the second aid station, at about mile 2, to pee, which made my stomach better. I guess my full bladder was what was causing the stomach discomfort. I started drinking Coke immediately at each aid station. I started feeling a bit better slowly and finally found my Ironman running legs after a few miles. But almost immediately after that, both my feet fell asleep again and it felt like I was running on pins and needles. 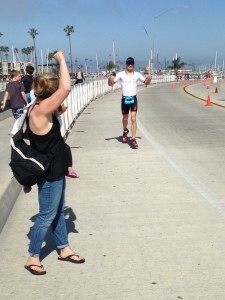 Since this happens at almost every triathlon, I wasn’t yet worried about this. The run course is a long 5.5 mile out and back, followed by a short 1 mile out and back section along Mirror Lake. You do this twice. The 5.5 mile out and back section starts with some very steep downhill sections, followed by a long winding and rolling road through the forest. The first 5.5 miles went by pretty quick, because there were lots of new things to see and I just tried to focus on a sustainable effort. The way back got a bit more challenging because there were some hills that really slow you down. I was lucky that at mile 10, the numbness in my feet went away and I was able to finally feel the ground again. Just in time for the steep climb back to transition. Mile 13 came pretty quickly for me. I was happy how I was feeling half-way through the run, but still nervous about what was to come. I knew the hardest part of the day was still to come and I know how things can change very very fast. The second loop of the run really started to zap my energy. The run course was pretty exposed so the sun felt like it was just sucking up any energy I had. I went from feeling okay, to feeling pretty beat up. My eyes went from looking around to just zoning out in a blank stare at the road in front of me. 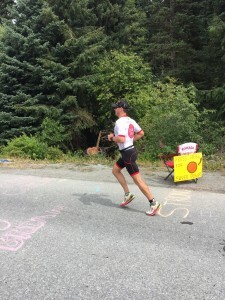 Every aid station, I would still do Coke, maybe some water and then pour water on my head and ice down into my tri suit. My pace was also slowing more and more and it took a lot more energy just to keep going at a reasonable pace. The second loop was also a lot busier with more and more athletes, a lot of whom were walking or barely running. It’s hard to find the energy to run fast with so many people around you walking. The last climbs of the second loop were painful. I was really zoned out, but still happy to be close to finishing. For me, during the last parts of an Ironman run, I almost have 2 parts of my body. I have my brain, which, although foggy at times, is always analyzing where I am in the race, what sections are next, how I feel, reminding me to drink, etc. Then I feel like I have a shell of a body, which is just there suffering and taking the brunt of the physical punishment. My brain keeps barking commands to the body and the body just does what it can to handle the effort. It’s a really odd feeling. I finally made it to the last 1 mile out and back along Mirror Lake. Right then, my left hamstring cramped up so bad I had to stop. I tried to stretch it for a moment and then started running again, but it quickly cramped so bad I had to stop again. This really worried me. I didn’t want to have to walk the last 2 miles after coming so far. I took another minute or so to really stretch it out. I tried running again and it seemed to hold up pretty good. I think when my brain knows the finish is coming, my body starts shutting down. The last mile of the course was great. It was a slight downhill to the Olympic Oval and the finish and the crowds were great. I finally made it into the Oval, around the track and to the finish. It’s great to hear Mike Riley say your name and feel that sense of accomplishment. 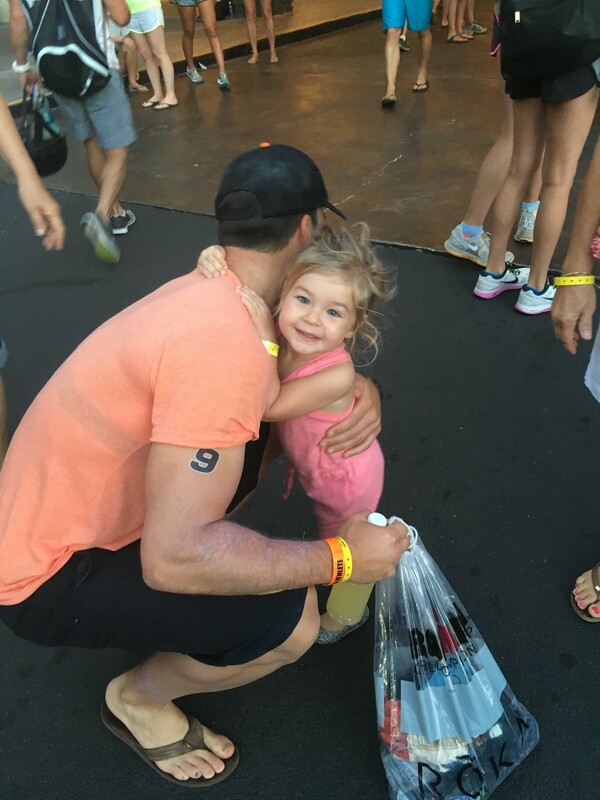 The volunteers at every Ironman are just amazing. Right after crossing the finish line a couple volunteers always help you make it around the finish area and keep you from falling over (which I probably would have done without them). 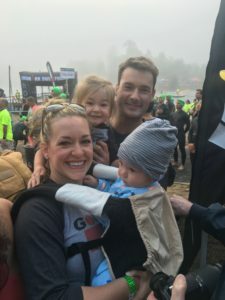 I was able to get a family finisher picture with Camille and the kids and then was handed some pizza and fruit. A volunteer led me to a chair and I just sat there for a while just zoned out. I finally ate a few grapes and drank some water and ended up throwing out the rest of the food as my body wasn’t in the mood for anything. After every Ironman, my body really just hates me and just wants to curl into a ball on the bed. 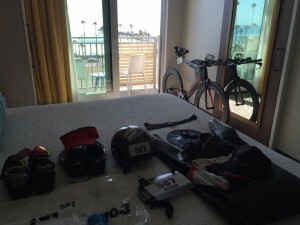 The hardest part of these races is collecting all your equipment and bike and getting it all back to the hotel room. This race was no different and I had to stop a few times on the walk back to the hotel to throw up. Just awesome. After sitting in the bathtub at the hotel for a very long time, I finally started feeling a bit better and my appetite was coming back. 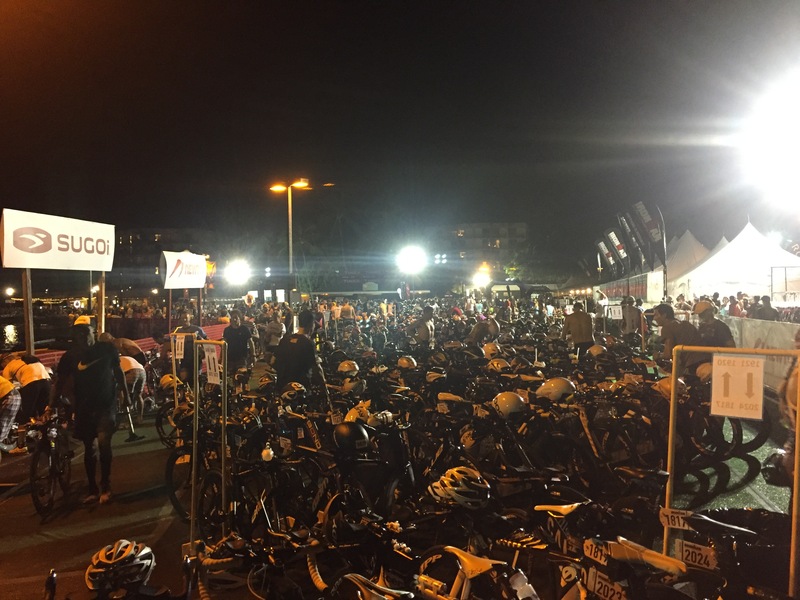 Sometimes after an Ironman, I don’t start feeling hungry till the middle of the night or even the next day. I felt pretty lucky that I started getting hungry after just a couple hours. We ended up going out to eat and getting a burger at a great place overlooking the run course. 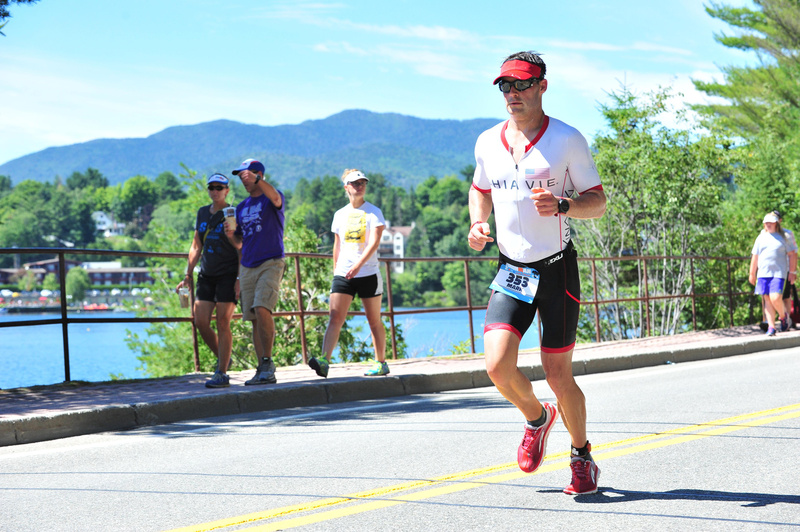 Lake Placid is definitely a hard course, but well worth it for the scenery and support. 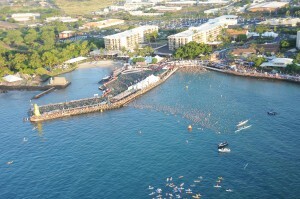 It seems the town really likes Ironman there and the energy is felt in all the spectators and volunteers. I feel like I put a good effort into the race and hit my swim and bike goals. I think I can still work on a better run, but overall, I’m happy with my performance. Vineman was going to be a short in-and-out style race. The plan was to drive up Saturday morning and then drive home Sunday after the race. The drive up to Windsor ended up being not super fun. Iyla ended up either carsick, or sick from a fever, almost right away when we got in the car. She pretty much was throwing up the whole car ride. Add that to a lot more than anticipated traffic, and it was a challenging day. I ended up really late to athlete check-in and was about 30 minutes late after the cutoff for dropping off my bike to T1. So I basically spent the entire day in the car stressed out. At least we got in a nice dinner plus ice cream with friends in Healdsburg, which was enjoyable. This was going to be our first night in a hotel where Camille and I would share a single bedroom with both kids. We actually had a 2-room suite, but we thought it would be better to leave the living room free for me to use race morning to eat and get ready without waking anyone else. Not sure this is a good move. The short story is, Camille and I maybe slept 2 hours that night. It was pretty rough. I was out of bed at 4:30am and started making my breakfast and coffee. I already had my coffee ready to go and just had to heat it in the microwave. For breakfast I had a piece of avocado toast and another piece of toast with plenty of hazelnut spread and then a banana with more peanut butter. Seemed a bit more than I usually eat, but for some reason I was pretty hungry for how early it was. 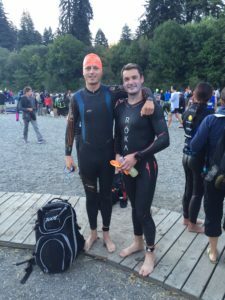 I was able to get a ride to the swim start with a friend, which was really great because I didn’t have to worry about getting the kids ready and in the car. 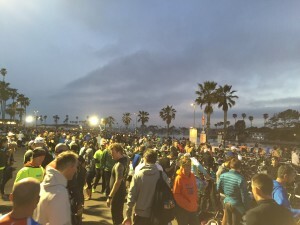 My bike and most of my stuff was already in T1, so the morning was really just standing around and watching the swim waves go off prior to my 7:16am start. 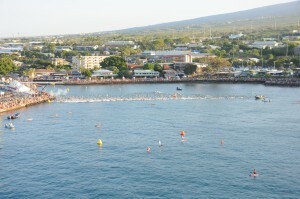 The swim waves were fairly small, with maybe only 40-50 athletes, which makes for a mild start. The water was really warm, in the low 70’s, which made it comfortable while treading water for the few minutes prior to the start. After the gun (or was it a horn), went off, I put in a hard effort for the first couple hundred yards to clear most of the people and then settled into a more sustainable pace. I was actually really lucky that I found the feet of another swimmer going at about the same pace I wanted to, and just followed him from start till finish. Vineman swim is very unique. You keep getting glimpses of the rocky bottom through the murky water during the entire swim. Every now and then my fingertips would scrape the bottom of the riverbed and I’d have to modify my stroke to not keep hitting bottom. The turn around point, was pretty funny because it got really really shallow. I bet it was a foot or less of water. Pretty much everyone around me was walking around the corner in the knee deep water. I decided to stay “swimming” and kind of stuck my hands in the dirt and rocks and pulled myself along. I’m not sure if that was faster than walking, but I figured that walking through water actually takes a good amount of effort and wouldn’t be any faster. The second half of the swim went by much quicker. It also took some more effort because I would hit the back end of a few of the previous waves and had to weave my way through some of those swimmers. Overall, the swim was pretty mellow and very enjoyable with no ocean chop or salt water to deal with. My swim to bike transition was still a bit slow. I got to my bike just before my friend Chuck. By the time I finished getting off my wetsuit, I looked up, and he was gone…. and I still needed to put on my socks and helmet. I need to figure out these transitions. Right away on the bike, I could tell my legs were a bit stiff. I wasn’t able to easily put out the power I wanted. I decided to back off a hair and see what happened with my legs. It took a good 30 minutes of riding before I got into the groove of the effort level I wanted. I played leap frog on the bike with Chuck, for the first half of the course. That actually helped pass the time and made things a bit comical. He would pass me every uphill and I would pass him every little downhill. I usually hate doing this and it usually makes me frustrated, but it was fun to joke around with a friend on the bike to add to the experience. The bike course is really pretty. I tried to enjoy the scenery when I could, but mostly only through the corner of my eye. I was mostly worried about the bike leg going in to the race because this is when you really find out how the day is going to play out. I was worried that with my lack of sleep, I really wasn’t going to hit my numbers. I was somewhat right because I was riding about 5 watts lower than goal. I mostly focused on power and on drinking water when I could. I was lucky that the day started off pretty cool and I wasn’t sweating much. I still wanted to stay hydrated though, so I tried to drink water every 10-15 minutes. My plan was 200 calories per hour from UCAN, but I ended up not finishing my bottle, so I probably only did 170-180 calories for the 2.5 hours. My first water bottle had a packet of Skratch HyperHydration in it to load with sodium. I also took in 4 more salt pills during the course of the bike with the water I got from aid stations. The last 20 miles of the bike course went by pretty quick. The course is somewhat rolling, with some short climbs, but pretty fast overall. I was pretty happy with the number of athletes I saw on the course. 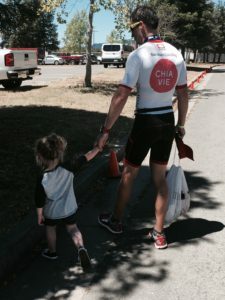 I didn’t really feel like I was ever hindered, slowed down, or required to speed up because of other athletes. 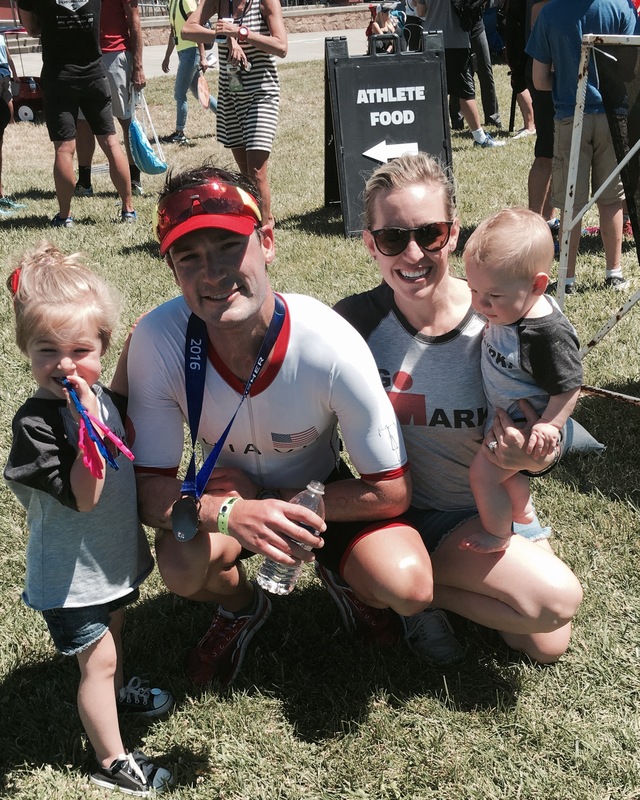 So between the swim and the bike, I felt like I was really able to have my own race. T2 felt fast for me. However, the second I got on the run course, I had to go pee really bad. In about a mile, I got really uncomfortable. I debated running through it or stopping to go pee, but I figured I’d probably end up running faster with the stop than being horribly uncomfortable the rest of the run. 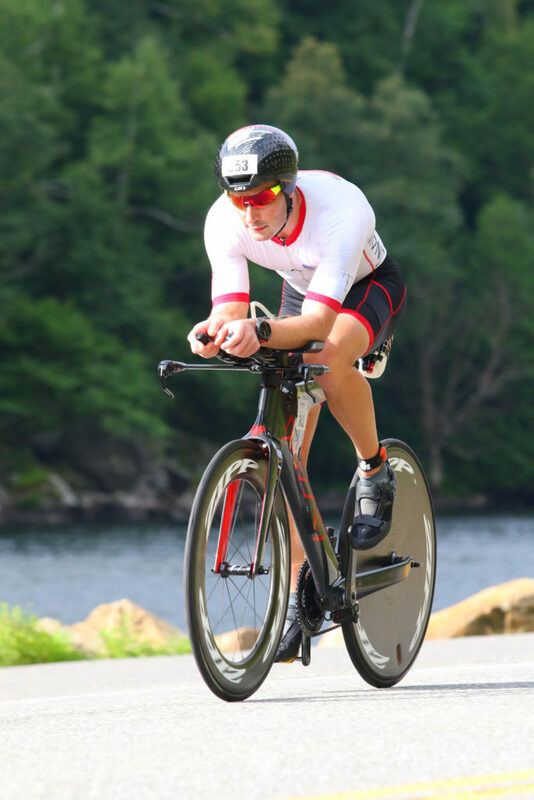 Side note: I’m sorry for anyone who reads this who does not do triathlons but these are the real challenges of longer racing and are major factors in overall performance and time. It’s usually just minutes that separates the top 5 or 10 athletes in a field, which is almost the time it takes to stop and go pee at an aid station. After my stop, I noticed my average pace, with the stop, had dropped to an 8:30+ pace. That was insanely discouraging. I knew there was no way I could fully make up that time to the pace I was hoping for. On top of that, I wasn’t running all that fast. I tried running at what I thought would be 7 min pace, but when I looked at my watch, I was closer to 7:15 or 7:20, which wasn’t a good sign. Right away on the run, I started drinking coke at each aid station. I would dump 1-2 cups of water on my head, maybe ice down my shirt if I could grab it, and a cup of coke to drink at each aid station. The coke seemed to help a lot because as the run went on, I felt better and better. Each aid station was hit or miss on the drink temperature. One aid station would have really warm water and warm coke, and the next aid station the drinks would be ice cold. Not sure what was going on there. I think I ended the run feeling much better than how I felt when I started the run which was odd. One contributing factor was my feet fell asleep almost immediately as I started to run. I think this has happened at every race I have done. It feels like I’m running on pins and needles and I think it really changes my gait as I have no feel of the ground or how my feet are landing. It’s really not a lot of fun. That went away at about mile 10, so I dealt with that most of the race. 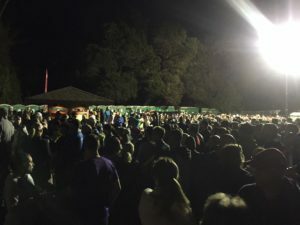 The Vineman run is pretty rolling. It felt like I was always going up or down. Around the half-way point, we enter a winery and run through the dirt trails around the vines. It’s a really cool experience (minus the rocks I kept stepping on). The run back felt pretty good. 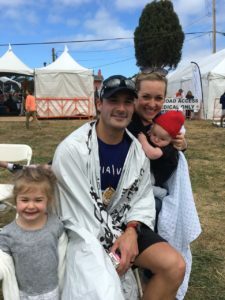 I was somewhat conservative in my pace in the first half, so in the second half, when I knew I was going to make it back to the finish in one piece, I was able to relax a bit and try to keep the speed up. The miles really ticked by from mile 8 on. Usually, this is where the miles drag on, but I was feeling good….maybe I should drink coke every day. Aside from the couple positions I lost going to the portapotty, I didn’t really pass anyone or get passed by anyone in my age group, so it was more of race against myself. The finish line came up very fast, and I was happy to be done before the heat of the day. After the race, I felt really energized, which shows I could have pushed harder on the run. 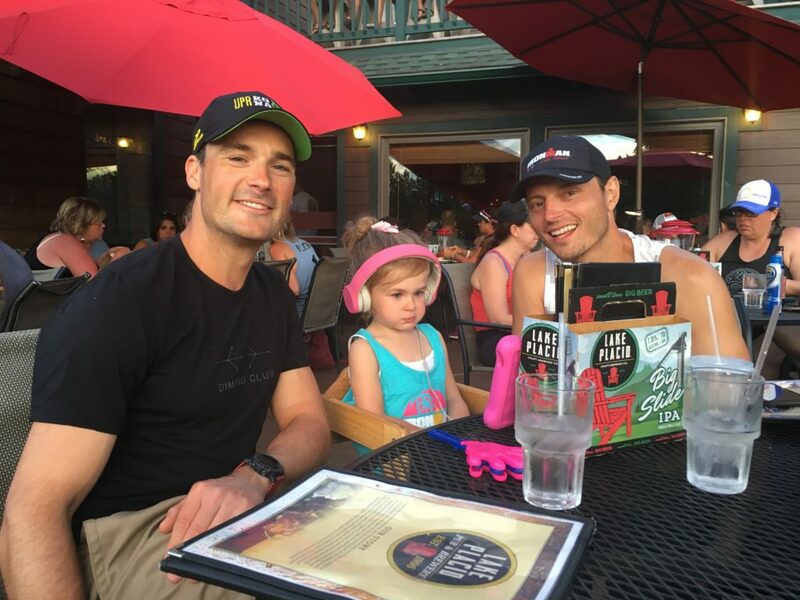 It was also nice to have some energy after a race to spend time with family and friends. 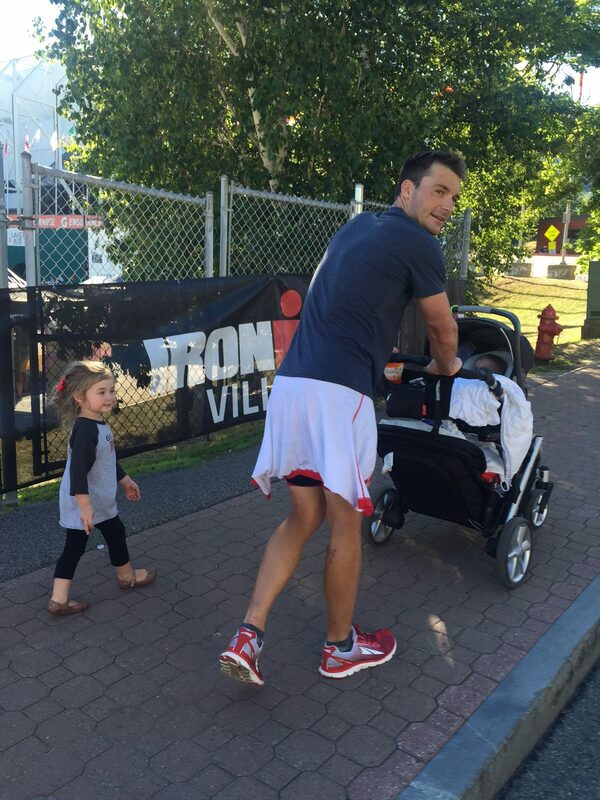 The real take-away from this race for me is the logistics of the kids. They are at the age, where not having naps and getting out of their routine affects the day and affects the overall experience of the event for the family. I think we’ll need to figure out how better to integrate racing and vacation with the family given we now have 2 kids in tow. I’ve wanted to do metabolic efficiency testing for a long time. I think you can play around with your nutrition and really dial it in, but it’s always nice to have some more exact measurements to better define and guide your own n=1 experiments. I personally just like to look at data, and if anything, use it as a learning experience and a form of continuing education for myself. Endurance PTC is really the closest place around that has the equipment for a Metabolic Efficiency Test (MET). This past week, I drove to Mill Valley for a couple hours of testing with them. Here are the results of those tests. The first thing I did with Tim at Endurance PTC was a body composition test. I thought this was going to be a little more scientific, but it’s really just the old-school skin caliper test. He tested my skin fold thickness at 3 different spots on my body (multiple readings at the same locations): belly, thigh, and ribs. The results, 12.5% body fat. That’s a bit higher than my Withings scale tells me every day (it says 8.5%). I secretly wanted to be under 10%, but I’m not sure if these numbers actually have any meaning for me in terms of performance. I don’t think you can say that if you went from 12% body fat to 10%, you will be a better athlete. In general, it seems better to be lower, but for me, it may not be the case. I think the more important thing here is to track changes and not the value itself. I don’t anticipate going in and doing skin caliper tests often, so I don’t think this was a super insightful test outside of reminding me I need to be aware of all the dessert I enjoy so much. Endurance PTC also offers Precision Hydration sweat tests. I thought this would be very applicable to my performance as I’ve always struggled with hydration due to my extreme sweat rate. The more I understand about sweat rate and sodium depletion, they better endurance athlete I think I can be. I really feel like a major limiting factor in my training and racing is the amount of fluid I lose from sweat. The Precision Hydration sweat tests are pretty interesting. They put 2 quarter-size disks on your forearm with a chemical on them that makes that part of your skin sweat. Then they add an electric current, which you can’t really feel, to that disc to push the chemical into your skin to start the sweating on that area. Then they remove the discs, and collect the sweat on your skin and run that sweat through a machine which analyzes the sodium content of the sweat. You can see the process here. The idea is that the sodium content of your sweat does not vary much as your sweat rate increases or decreases. 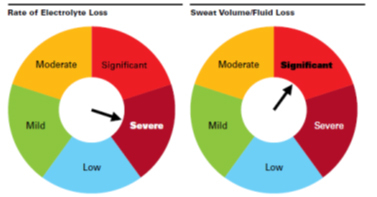 You always lose about the same amount of sodium per volume unit of sweat across all different sweat rates. I had done the Levelen sweat test previously, which seems much less accurate, and had put my sodium loss at 1400mg per Liter of sweat. This Precision Hydration sweat test put my sodium loss at 1024mg per Liter of sweat. So this looks like I lose a little less sodium than I previously thought. This may explain why I looked like a bloated pig after my last race. Good to know. Now I can better plan my sodium intake during long training days and races. The last, and most time consuming test, was the Metabolic Efficiency Test. 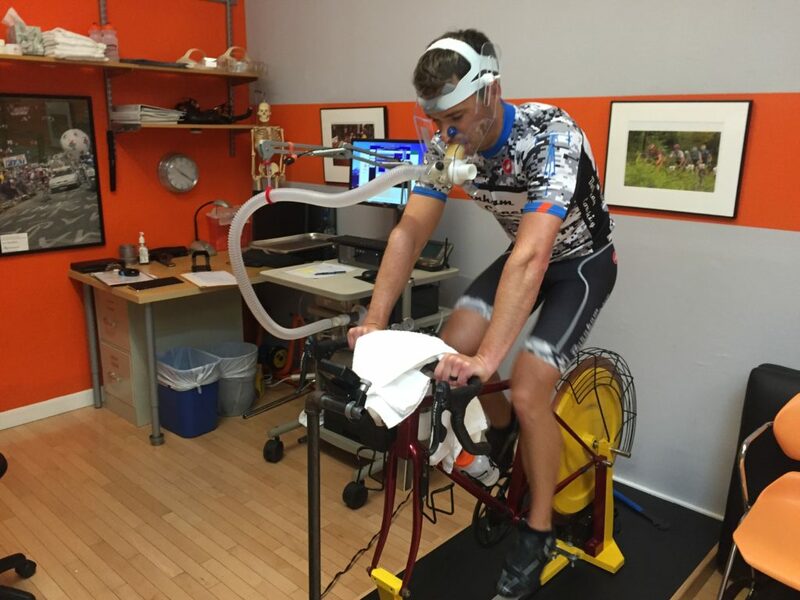 Tim at Endurance PTC looked me up to the Respiratory Gas Exchange system while on a stationary bike. This machine measures the amount of Oxygen I breathe in and the amount of CO2 I breathe out while riding the bike. The ratio of CO2 eliminated to O2 consumed is the Respiratory Quotient (RQ). This is a way to measure metabolism to see what I’m “burning” at different exercise intensities. An RQ of 1 is pure carbohydrate (sugar) metabolism, where a RQ of .7 is pure fat metabolism. My goal was to see how much fat and carbohydrate I burn when I am out riding. The ultimate goal here is to train your body through nutrition and training to be better at burning fat and to burn more fat at higher intensities. The test was designed to start me at 120 watts on the bike and step me up by 20 watts every 5 minutes until 240 watts. 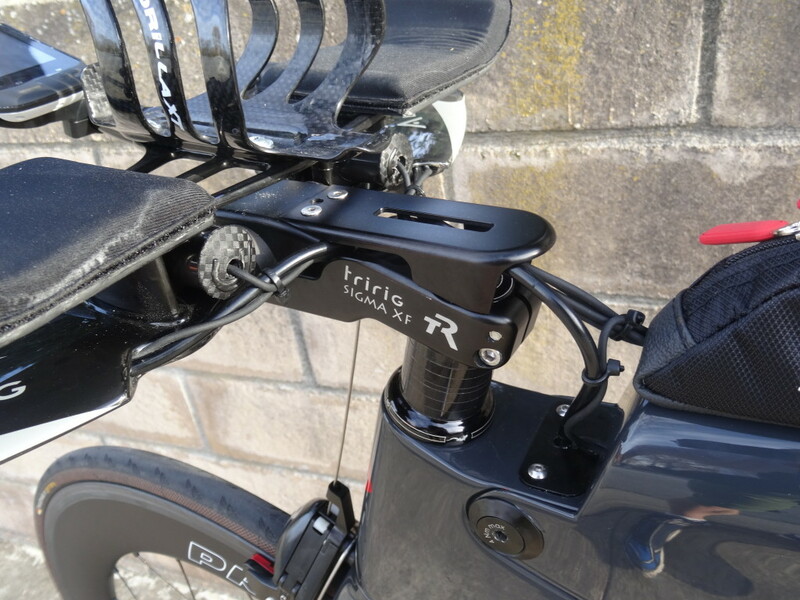 This would give me a range of sub-max power outputs on the bike applicable to the types of races I do. 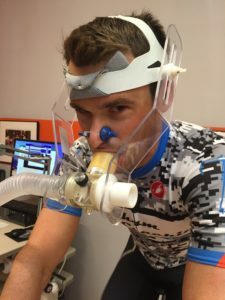 I will say, it’s pretty uncomfortable to have your nose pinned and breath through a tube on a trainer up to 240 watts. Very do-able, but very awkward. I was secretly worried that I was a huge sugar burner. Most people who know me, know I have no concept of moderation when it comes to dessert. So, while I’m pretty picky about the quality of the dessert, I pretty much will demolish all sugar put in front of me (especially if it’s homemade with love). So I was pleasantly happy that I was still able to burn a good amount of fat at higher intensities. My cross over point, where I burn equal sugar and fat is around 210-215 watts. 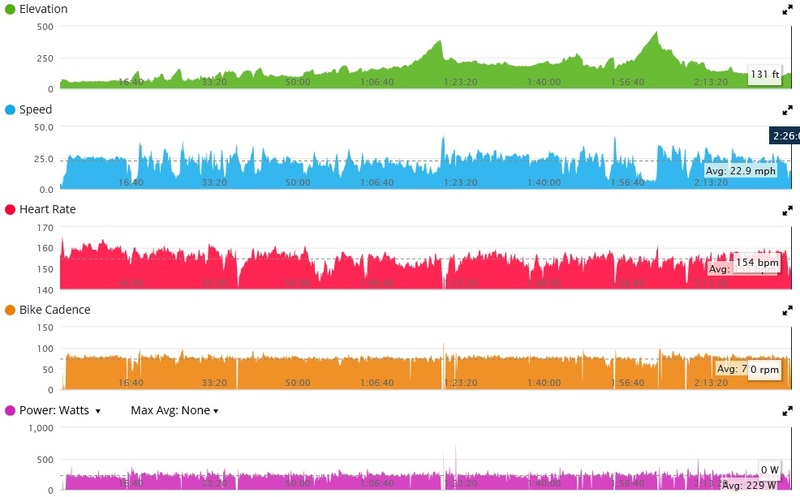 This is about Ironman pacing on the bike. My Fatmax point, where I am the best fat burner (if I wanted to burn lots of fat) is 160 watts, which is pedaling fairly easy. So if I wanted to burn off all that ice cream which converted to fat, I’d be better off going out and doing a very easy bike ride than going out and doing a hard ride. I think this data is going to be very useful for planning out my nutrition strategy for long races, like Ironman. I think I can probably get away with consuming less calories from sugar than I previously thought, looking at this data. Another interesting take away is that my Metabolic Efficiency Zone, where I am the most metabolic efficient (more fat burning) is 140-180 watts. In theory, I should be spending a lot of time in this zone training, where I would be “teaching” my body to be a better and more efficient fat burner. The reality is I never train this low on the bike. So maybe I need to slow down my easy rides. This also probably means, I should slow down my easy endurance runs, as I assume this data would translate over to running as well. Overall, I got a lot of good data from these tests and I’m glad I did it. I think this data will guide more trial and error testing on my own in terms of training and nutrition. 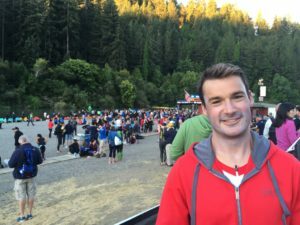 This year was my fourth time doing the Big Sur International Marathon. There are not many opportunities to run on Highway 1 along the Big Sur coast, so I thought it was time to come back and do this race again after not doing it for 3 years. 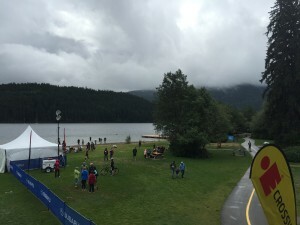 The last time I raced here, I was pretty much doing only run training, and this year, I am more focused on triathlon, so I wasn’t quite sure how it would go. For my race goals this year, I put BSIM lower on my priority list because I wanted to keep the focus on triathlon, but still have the opportunity to see how my running was coming along. I knew going into the race, I would try to hold a solid pace, but not go out there for a PR or to kill myself chasing a time. I still have a very long season left and I need to figure out a way to maintain fitness and motivation till November. The BSIM experience starts very very early in the morning. I don’t think I have ever done another race where I have to wake up at 3am and not even start the race till about 4 hour later. If anyone knows me, they know I’ve been a sleep nazi lately. I really love getting a full night’s sleep, and after having a new baby in the last 5 months, I can really appreciate what good sleep can do, and know what bad sleep can do. So I wasn’t super happy when I had to be out of bed at 3am, with not great sleep the night before. I pretty much had everything ready to go when I got out of bed. I grabbed 2 thermoses of coffee for the trip to the race start and all my stuff and was out the door at 3:20am. 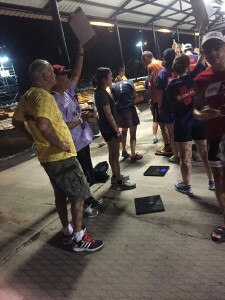 Running events are really great, because there isn’t much gear to think about. I pretty much wear everything I need out the door. Just some food, coffee and a sweater and I’m good to go. 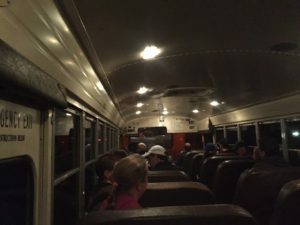 I drank my first thermos of coffee on the 30 minute drive to Carmel to get on the yellow school bus for the longer trek to the start line. I pretty much sat quietly during the full hour bus ride to the race start, sipping on coffee and listening to a podcast. 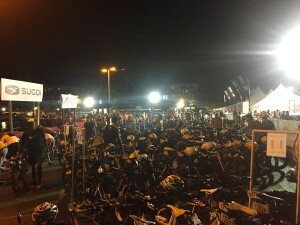 We got to the race start area around 5am, which meant, I was going to be sitting around for almost 2 hours till the race start. I found a spot to sit on the concrete, and pretty much sat there for the rest of the time, drinking coffee and eating my breakfast (and trying to stay warm). My goal was to eat breakfast about 2 hours before the race start. I brought two burritos I made the night before with eggs, sausage, cheese, and avocado. I also started sipping on a Skratch Hyper Hydration about 30 minutes before the race start, just for a quick pre-load of sodium. It was odd that given all the waiting I did before the race, I actually barely made it to the start line before the start of the race. There were just so many people trying to make it up to Highway 1 for the start, it was pretty slow going, and I was one of the last people to get in place before the race started. The race start was pretty mellow, with a nice downhill slope. I just kept it somewhat slow and steady and just went with the flow of people. After the first couple miles, when the race started thinning out and went from 2 lanes down to one lane of highway, I started thinking about pacing. My goal was to be at about a 7:15-7:20 pace for the whole race. A little faster on the downhills and (obviously) slower on the uphills. I actually tried not to look at my watch for pacing queues too often and just go by feel as much as possible. I wanted to look around and enjoy the scenery and not be focused too much on pacing by the number. At about mile 5, the gradual downhill ended, we started getting out of the trees and on to more open coast. With that, the wind really started picking up. I was really starting to get hit with the headwind and could feel it just holding me back. It was like someone was just pushing at my chest, trying to keep me from running. It was somewhat frustrating at that point, but also expected for this course. After about 6 miles, I started taking fluid from the aid stations every time I came to one (about every 2 miles). Usually just a cup of Gatorade. The weather was really cool, but I was starting to saturate my shirt with sweat, so I wanted to stay on top of my fluid replacement. The first 10 miles of the race went by very fast. I don’t even remember keeping track of miles, or pace too much. By mile 10, the wind was getting pretty silly. I felt like I was pushing hard, but not really going anywhere. I tried my best to draft off people, but it wasn’t working too well. I couldn’t really find anyone going at the pace I wanted, so I kind of jumped from person to person to draft, but mostly was on my own. Mile 9-10 is a nice downhill run in full view of what was ahead, the long 2 mile climb to hurricane point. That climb seems to go on forever. The wind during the last mile of the climb to hurricane point was insane. There were a few times, I almost gave up and started walking because it felt like the wind was pushing me so hard, I wasn’t going any faster than a walk. I know the race is known for its wind, but this was pretty tough. After I hit the top of hurricane point, I knew I had at least passed the hardest part of the course, which was a nice relief. I made the mile decent to Bixby Bridge and the halfway point of the race. Mile 13-16 was fairly uneventful. I continued to try to enjoy the scenery and to spend time looking around and the amazing views. I still took Gatorade every aid station. Mile 16, was the point I started to get a bit tired. 16 miles was the longest training run I had done (the weekend before), so mentally, my brain started focusing on miles to the finish after this point in the race. From there, I had to make smaller mental goals so I could focus on hitting those and not focus on the entire distance. My first goal, was to keep pace till mile 20. Mile 20 was only 4 more miles, which is pretty easy to do and I knew, once I hit mile 20, I’d only have 6 miles, and 6 miles seems pretty short. At mile 20, I set a new goal, of making it to mile 23. I can run another 3 miles, no problem…. And then I’d only have 3 more miles to go. By mile 22 or 23, it was still pretty cool outside, but my shirt was soaked, my shorts were soaked, and the sweat was starting to soak my socks, which is no fun. I know from experience, that once my socks are fully wet, it’s only a matter of time before the blisters start, and then I can get myself into a very unpleasant situation. I still was only doing a small cup of Gatorade at most aid stations. I didn’t feel the need for any other nutrition, so I didn’t take any food (although the strawberries at the aid station around mile 23-24 looked pretty good). The last few miles, the course was pretty busy from all the walkers doing the other race distances. It kind of became an obstacle course. I think there were a couple times I almost ran into people. I noticed this year, that most walkers had headphones and/or were busy on their phones or taking pics with their phones. It seemed a lot of people weren’t paying attention to where they were going or who was running up behind them. I guess that’s the world we live in now, where we have to dodge people who are on their phones and not paying attention. The last mile was pretty fun and I tried to speed up a bit for a strong finish. I was still feeling pretty good energy-wise, but my legs were pretty beat up. I sprinted across the line, and was happy to be able to stop and walk. Overall, I had a great race and was pretty happy with hitting my goals. It’s kind of crazy how hard running is on my body. Those long road miles just really beat me up. I can’t believe I’ve done that distance of a run after a 112 mile bike ride. It’s really just mind blowing. Leading up to Oceanside, I didn’t really know how well I was going to do. I didn’t have a good sense if I had improved in overall fitness over last year at this time. Looking at my numbers and training metrics, it almost seemed like I was less fit this year than the previous year. I had some good training days, but my overall volume was still much lower than some of my friends training for the same race. I also had some health challenges (allergies and infections) and other commitments (new baby) over the winter which didn’t help my overall confidence leading into the spring. Overall, I was feeling good and happy and didn’t feel like I needed to put pressure on myself to perform. I feel that just enjoying the journey and the process can be greatly rewarding in itself. This race was going to have a different dynamic for me because I was going to be making the trip to Oceanside solo, without any family. Good or bad, I was still looking forward to an enjoyable trip, with plenty of stops along the drive down in SLO and Santa Barbara for family and good food. Even without family around, I still felt pretty busy the Friday before the race, checking in to the hotel, doing the athlete pickup, walking the expo, checking in my bike to transition and going on a short 30 min run to get my legs moving. Race morning I was up at 4:50am. I actually got decent sleep, going to bed around 8:45 and sleeping pretty good. I love hotels where you can turn down the thermostat enough to make the room really cool at night. I had taken a big risk by not grocery shopping the day before for my race morning breakfast. The hotel said they were going to do an early “breakfast” for athletes at 5am, but no one seemed to be able to tell me what they would have ahead of time. One person told me “just coffee” and someone else said “only coffee and oatmeal”. I feel that recently, I’ve been less concerned and picky about my pre-workout fuel. A lot of my workouts are even fasted if they are done early enough in the morning. That, and I was too lazy to go to the store the night before. So I just hoped they had something decent. Since it sounded like there would be 100% chance of coffee at the least, I figured I’d be fine. I could go for 4.5 hours on coffee alone. The breakfast ended up being really decent (for a hotel). Lots of fruit, bagels, pastries, oatmeal, etc. I pretty much tried a little of everything until I was full. Normally, I’m pretty picky with ingredients and food quality, but I was just happy they had options. After breakfast, I went back up to the room, got dressed and then made the 1.2 mile walk from the hotel to the harbor. Setting up transition was pretty uneventful. Since my bike was already there, I just had to lay everything out. I didn’t even add air to my tires. I figure, the less things I had to do and the more I could just relax the better. I feel I always do better when I’m relaxed and the typical tension in the air in transition usually just makes me anxious. I was able to catch up with some friends and take my time getting into my wetsuit. I finally made it to the start shoot and we made our way to the boat ramp, waiting for our wave start. I was surprised how warm the water was, as we made our way from the boat ramp to the in-water start line. I had heard some people complaining about how cold the water was going to be (62F). I guess, with the only ocean swimming I usually do being in the cold Monterey Bay, everything else feels warm. I took a spot on the far side of the buoy line, hoping to avoid some congestion and risk having to take a longer line. When the horn went off, I put in a solid effort to sprint ahead of the main group. I ended up with about a handful of people from my wave after the first couple hundred yards and then settled into a more sustainable pace. I tried to pace the swim more on the aggressive side. I felt like I was swimming at an effort between “solid” and “kinda hard”. I just kept telling myself, “don’t swallow any water”. Who knows what’s in harbor water. I just didn’t want it in my stomach. About half way to the turn, the few people I was swimming with started hitting the back end of the wave in front of us. I tried my best to avoid running into the back of someone, but it required me to do a lot more sighting, which just wastes energy. Around the turn around point, the chop started getting pretty rough and I was getting tossed around a lot. As we turned to head back in to the harbor, the sun was directly in my eyes and I lost sight of everything. I couldn’t see a thing with the sun. The best I could do was keep swimming and hope I was going to right way. I just got glimpses of people around me to somewhat guide where I was going. The way back in to the harbor also got pretty crowded. There was a good mix of lots of waves by then, and it was much harder avoiding people. I finally made it back to the boat ramp and started the LONG run around transition and back to my bike. The beginning of the bike leg is always a bit awkward. There are just lots of people doing lots of things. It’s kind of just a mess. It took a few miles to really start settling into things. I tried to keep a strong pace right off the start. My goal was to hit about 240 watts Normalized Power for the ride. I did this a couple weeks before and still felt good at that power for 2.5 hours, so I knew it was very doable with some effort and sweat. 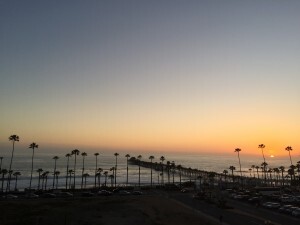 I like the Oceanside bike course because it seems like there is always something different to look at and that keeps your mind busy and away from thinking about the burning in yours legs. This year, I felt like there was less congestion on the course, especially during the first half. There was some initial congestion, but once I got on the base, I didn’t feel like I was around the same people very long. Some races, it feels like you play leapfrog with the same handful of people the whole time, and I didn’t get that this race. There are some good climbs on the course that forced me to stand in the granny gear, but I actually really like that about Oceanside. Mixing it up and changing positions and muscles is always welcome. What’s also good about a bit of climbing is the downhills. The Dimond bike just kills it on the downhills. 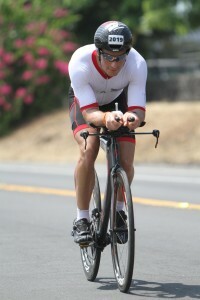 I can easily coast in an aero position on the downhills and pass a few people who are still pedaling hard. I love it. I feel like the bike leg wasn’t eventful, but in a good way. I didn’t get frustrated at people leapfrogging the whole race, I didn’t see packs of people forming, overall it was great. 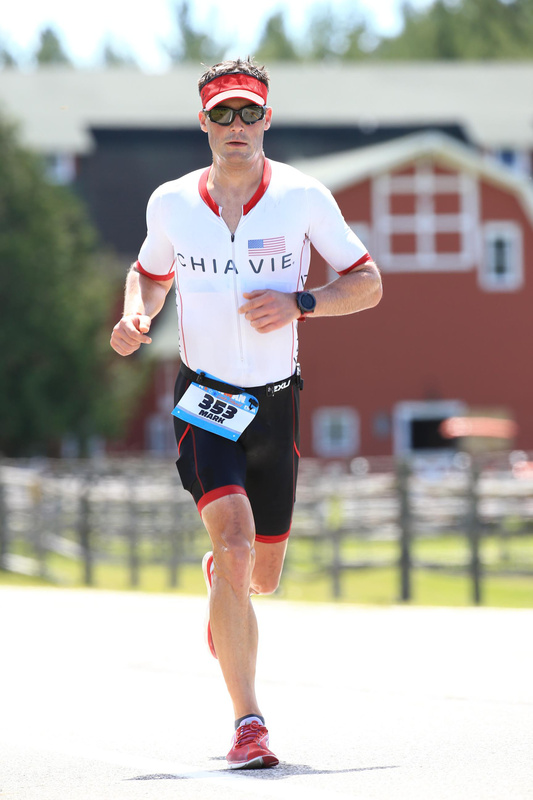 The pace was just at that point where I had to concentrate on pushing hard and couldn’t just let my mind wonder. I think I was pretty consistent at 240 watts most of the ride. For nutrition, I tried to do 200 calories an hour from UCAN. This is actually more than I usually take on any training ride less than 4 hours. So I knew I was going to have to force it down a bit. I ended the ride with still a fifth of the bottle left, so I ended up with just about 170 calories an hour. A bit light, but it didn’t affect me at all. I figured I could always just prop myself up on coke during the run if needed. For hydration, I think I could do a little bit better next time. I started with a BTA bottle of Skratch Hyper Hydration just to immediately load with sodium. Then I tried to drink somewhat to thirst, or a bit ahead of thirst. I didn’t really count the bottles, but I filled up every aid station, so I probably did about 96 fl oz of water over the 2.5 hours on the bike. I got off the bike and still felt like I had good energy. I know a lot can change when you run. Running is just so hard on the body that a lot can happen in a short time. I had originally planned on starting off with a 7 min/mile pace and holding that. My real goal was to run 6:50 pace because I knew this was doable off the bike. I mentally envisioned this as a short run (just because it’s not the full marathon like in an Ironman). I figure, even worse case and I really fall apart, I can fake it for almost 13 miles. I could, at least, fake it for 10 miles and then just do what it takes to do the last 3 miles. What I like to do off the bike, is just run at a conservative pace for the first few minutes before checking my pace. Then, after a few minutes, check my pace and see what I’m doing. That usually is a good indicator of how I’m feeling and how the race is going to play out. After a few minutes of running, what I thought to be strong but conservative pace, I looked and saw I was running 6:45 pace. I was pretty happy with that and decided to slow down just a hair to be safe. The run at Oceanside is just so much fun. Because it’s two out and back loops, it really breaks up the run into very small and manageable chunks. Plus, the run along The Strand is just awesome. Can’t beat running along the ocean with a huge crowd. I stuck with my cooling and hydration strategy from Kona where at every aid station I dumped water on my head and back and drank a cup of coke (actually, they used generic “cola” which sucked. I usually don’t drink coke, but if I do, I want the real thing). What was truly amazing about the first lap, is that it was really really empty. I mean, there was no one on the course. I got to see all the pros go by, which was incredible. They run so fast, it’s just insane. I kept drinking “coke” every aid station, knowing I didn’t fuel too well on the bike, so I thought the simple sugar would keep me going. On the second lap, I was still going strong but getting a bit tired. The course started to get pretty crowded and I had to dodge people the entire second lap. I finally hit mile 10, just before the last turn around. I knew I could run 3 miles in my sleep. There have been so many hard training runs where I have ran the last 3 miles just destroyed. So I know I can run 3 miles on fumes. But I was still feeling pretty good. I picked it up a hair the last couple miles. Well, my pace probably didn’t pick up too much, but my heart rate sure did. 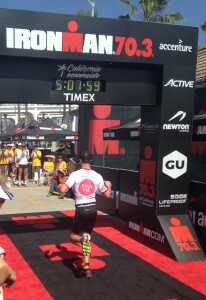 Oceanside finish is one of the best finishes outside of Kona I have done. Just an amazing crowd and a great view. There was no rest after the race. I didn’t even stop to get food, but actually ran (yes ran) to my hotel so that I could get my bags out of the room before my late checkout time. That was pretty painful. At least a got a quick shower in before finally going back to the finish and to the athlete food area. I was the only athlete in the post-race food area already showered and dressed. I feel like Oceanside was perfectly executed. I was able to pace slightly better than my aggressive goals. 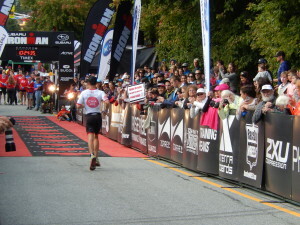 This was really the first race where I didn’t do a lot of pre-race planning for pacing, hydration or nutrition. I kind of just let things go and hoped for the best and that seemed to pay off. I’m not sure I can get away with that for a full Ironman though, so I may have to go back to better planning for an IM race later in the year. I think I can fake my way through a 4.5 hour workout, but not through a full day in an Ironman. One bad thing about having a well-executed race, is not knowing where to go from here. I don’t see much low hanging fruit for future improvement. Sure, I can keep working on aerobic fitness, but I’m not sure I’ll ever be as good as the top guys in a 70.3 race. There are a few lifestyle tweaks I can make and hope for some gain there, but I’m not sure there is too much to be had on that front. At some point you hit a point of diminishing returns for the effort and sacrifice needed for marginal gains in fitness. I guess one area where I can gain some big time in a race is transitions. 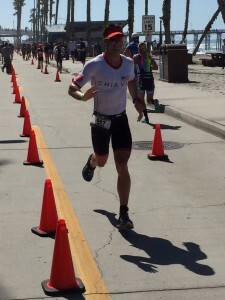 At Oceanside, my T1 time was almost 5 minutes. I feel like I some mornings I have breakfast and coffee faster than that. I feel like I’m going fast in transition, but obviously there can be a lot of improvement there. Maybe a few minutes can be had between both transitions. I would really like to do Oceanside again next year, so we’ll see what happens with scheduling. It’s a great race and the energy is one of the best of any races I have done. There is a reason all the fast people show up for this race, it’s just an amazing experience. Race day started a lot earlier than usual at 3:50am. I usually like to sleep in as much as I can and only wake up to get food in with enough time to let it digest. The bus from our hotel to the start left at 4:30 am so I needed to be up and ready extra early this time. I drank a couple cups of coffee and got dressed, then started eating breakfast as I waited for the morning bus. Breakfast was a French roll peanut butter and jelly sandwich and a cup of yogurt with granola. I brought some extra bars with me for the morning just in case I got hungry later. I got to transition and got the tattoo body marking. This is the first Ironman I’ve done where they weigh the athletes in the morning. That made me a bit worried about the hot day ahead. I weighed in at 172 lbs!! That’s 12 pounds more than I weighed when I left for Kona. I’m either carrying a lot of water or I’ve had one too many iced mochas. At least I’d kill it on the downhills. I finally made it to my bike. The volunteers were awesome. They brought me over a pump and held my bike, while I pumped up my tires. I loaded my nutrition on the bike and synced up my Garmin bike computer. After getting my bike all checked, I still had almost an hour and a half of downtime before the start. 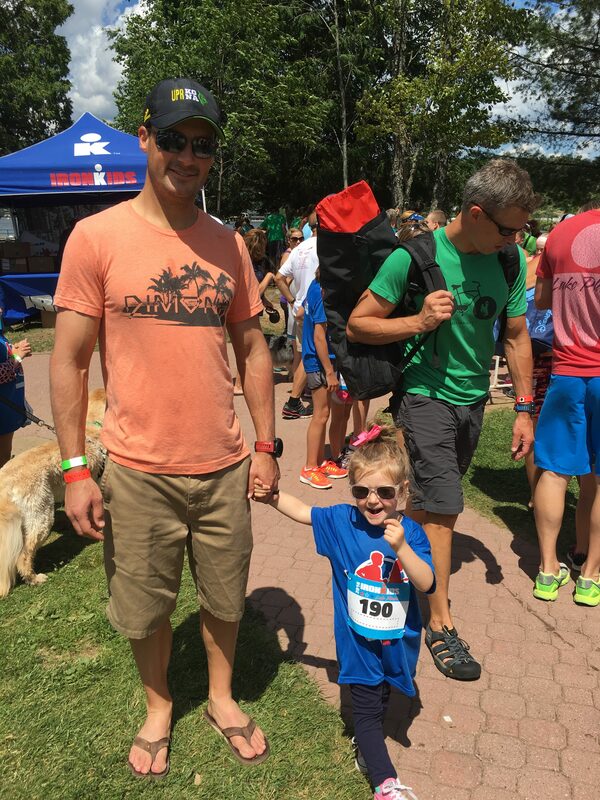 I ended up leaving transition and hung out with my family, once they had made their way down to the swim start. After the pro start, I started getting dressed and slowly got in line to make my way into the water. I ate a UCAN bar and drank a Skratch HyperHydration to finish off my salt pre-loading plan. I ended up hanging out on the beach for about 5 minutes until Mike Riley started telling everyone they needed to be in the water. The last thing I wanted to do before an Ironman was tread water for 20 minutes. I didn’t really have a strategy for where to place myself at the start. I couldn’t really tell what position offered the fastest line. So I just found a spot and put myself about 4 rows of people back from the line. I figured this would be a good place for my swim skills, not in the front with the real swimmers, but not in the back of the line either. I just treaded water, watched the clock on the pier and tried to enjoy the whole experience of the sunrise, helicopters and drones overhead. When the cannon went off, I surged forward and started off with a strong pace. I figured, this would be the coolest (temperature) part of the whole race so might as well put in a little more effort before the heat slowed me down. Right away there was a ton of contact with all the other swimmers around me. I was used to a little contact, but it would usually die down. But here, it was relentless. I was getting kicked and smacked all over. Every time I tried to look around to see how to avoid the masses of people, I didn’t see an escape. I even tried backing off a bit just to let some swimmers around me go ahead to avoid getting beat up, but then I would just get swum over from behind. By far, this was the hardest swim I have done in a race due to the violence. After about 15 minutes, things got a bit better as I found my pace with the swimmers around me. I was then able to relax a bit and watch the sea floor and pay attention to sighting ahead. At the turn-around, things became a bit more congested and violent, even though I made a pretty wide turn to avoid the congestion. I looked at my watch and saw I was under 30 minutes, which was a good sign. I know a lot of people had told me the swim back to shore would be slower, so I was still expecting a slower overall swim time. The swim back to the pier was a bit more uneventful, which I was grateful for. I picked a strong, but not too aggressive pace. I could feel my swimskin cutting into my side, and I just hoped it felt worse than it was. I really didn’t want to deal with an open wound the rest of the day. As I got closer to the swim exit, I checked my watch again and saw I had already passed the 1 hour mark. I knew it was going to be a slower swim, but mentally, it’s hard to see numbers which are slower than you want. Overall, I put in a decent effort and was happy I survived a very tough and physical swim. The run through transition was pretty long. They make you run from the swim exit, all the way around the entire pier before getting your bag and running into the changing tent. All I had in my transition bag were socks and glasses. I had rolled down my tri-suit under my swim skin with the hopes of being able to put in on while running through transition. That didn’t work out at all. I couldn’t get my tri-suit on with my wet skin. 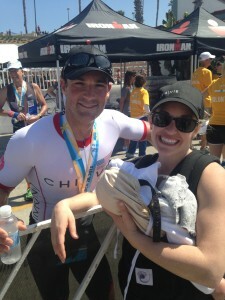 I needed a volunteer to help pull my sleeves up on my tri-suit. After I got dressed, I got to my bike, put on my helmet, and ran to the exit with my bike. As usual, the first few miles of the bike were just about getting situated and doing a self-check. I felt decently good, and didn’t have any issues putting out power. We made our way south on Kuakini Hwy before quickly hitting the turn around and making our way back north. I was happy to not only see my family cheering for me out of transition, but also only a few miles later as we worked our way up to the Queen K.
Once I started heading north on the Queen K, everything got a lot more quiet and serious. The crowds of people went away, and for the first time I could start feeling the heat of the morning. I became a bit worried as I could feel my face getting warmer already. I started to just focus on power and thinking about my nutrition plan. This is the first race where I didn’t have a really good idea of what my pace should be. I ended up deciding to just go more by feel. I knew what I could do, but wanted to be cautious about the heat and the run to come. I really wanted to be more conservative and maybe learn about how I handle heat, than over-do it and end up in a bad situation. If anything, I thought I could probably go harder earlier when it wasn’t yet as hot. My nutrition plan was to start with 300 calories from UCAN the first hour of the bike and then back off to 200 calories per hour for the rest of the bike. I had a single bottle of UCAN behind the saddle for the first half of the ride, and then a BTA bottle for water only which I refilled every aid station. My goal was to drink at least 70% of the BTA bottle between each aid station, which would put me at about 1.5L/hr of water. Each aid station had 2 water pickups, at the front and at the end. The first pickup, I would refill my own bottle, and the second pickup I would dump on myself to stay cool. Read more about my hydration plan here. At mile 7, I was already out of water on my bike and I was looking for that first aid station. As I came up to it, I noticed they weren’t even setup yet and they had nothing to give out. Not a good start to my race if I’m already thirsty and out of water on mile 7. I had to wait to the next station to get my water. The ride up to Hawi didn’t disappoint. It looks just like the pictures I had seen of the lava fields. Kind of like the moon, but hotter. I don’t think the heat was as bad as I expected, because I really expected the worst, but I would still start feeling overheated over time and would need to mentally focus on the next aid station where I could douse myself in water again. 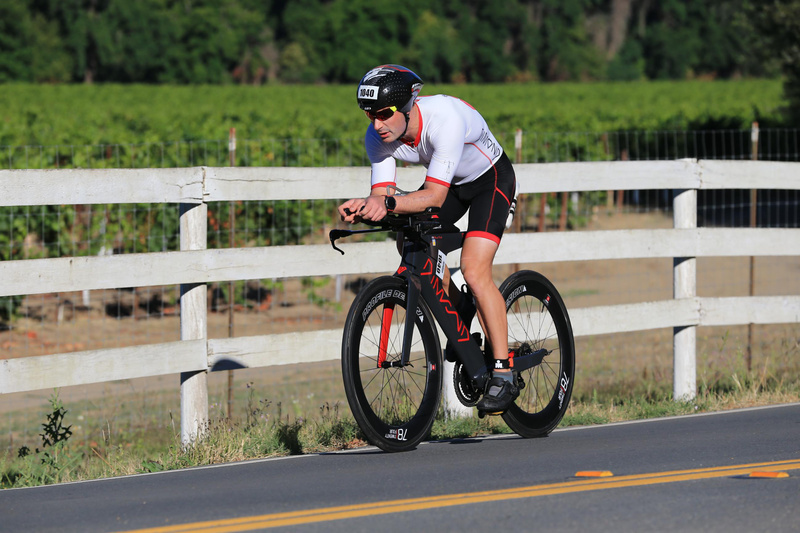 I really wasn’t enjoying my aero helmet as I had no vents in the top. All I wanted to do was dump water on my head, but I couldn’t do that with my helmet. The best I could do was pour cold water down my back and arms and sit up and spray my chest as well. The first penalty tent I came across was packed, with a line out the back. After that, I made a very conscience effort to stay very legal. I think I burned too many matches on the way to Hawi trying to pass groups. Sometimes I would look down as I made a pass and see 300+ watts. I think the adrenaline of the pass masked the pain of putting out so much more power than I should have. The course seemed to be somewhat rolling, where I was always on a gradual incline or decline. 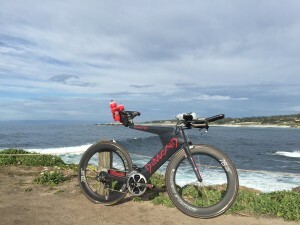 I could tell the Dimond handled really well in the cross winds and downhills because I would always pass people at those times without much effort at all. There were times, when the wind started picking up across the road, but it didn’t seem bad at all. No worse than back home in the Salinas valley. Once I started getting close to Hawi, the clouds moved in and it began to rain pretty good. The rain felt amazing. The water was warm, but I knew it was keeping me cooler than with no rain. I made the turn-around at Hawi and quickly stopped at special needs to grab my second bottle of UCAN. I also filled my BTA with another Skratch HyperHydration for another huge dose of sodium. I did that on top of around 5 SaltStick pills per hour. The downhill leaving Hawi, was very fast. We had a good tailwind for a handful of miles. It was a bit dangerous because I really couldn’t see well in the rain going that fast. Eventually, the rain ended and so did the tailwind. Back in the lava fields, it started heating up again as the clouds disappeared and I was in the direct sun again. The last 25 miles really took a lot out of me. I started feeling uncomfortable on the bike and really wanted off. My power was dropping and my perceived effort was rising. I let my power drop as I didn’t want to push hard to chase a power number in this race. The road felt like a long uphill, with no downhills. I was starting to worry that I was suffering a bit too much too early. My stomach also didn’t really like the hot UCAN I was forcing down. I decided not to drink the last couple ounces. As I made it past the airport and back into town, I could see the runners on the course and I was looking forward to something new and getting off the bike. 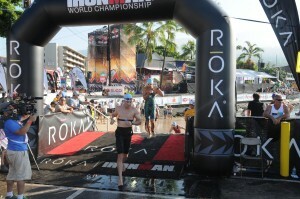 The crowds back in Kona were awesome and put some life back in me. Transition came up quick once we got into town and I was finally off my bike. Nothing exciting about T2. Looking at my time, I took a while, but there was a lot of running around the whole pier. 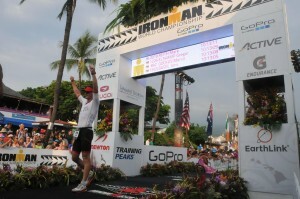 The crowds on Ali’i were amazing and really gave me a much needed boost. I was still pretty tired and my stomach wasn’t perfect, but overall, I was happy I was still going. I did a quick body check and decided I needed to back off the pace because it felt harder than it should have. Again, I really wanted to be conservative. Running down Ali’i towards Keauhou was a lot of fun. There were lots of groups setup along the course cheering and playing music. Everyone had hoses out and would spray the athletes (if they wanted) as they ran. It felt great to be hit with water every few hundred yards. Right away, I decided to walk every aid station. There was just too much to do to be able to run through. I drank water and Gatorade every aid station (with a goal of about 10oz per station) and also dumped 2-3 water cups on myself, took sponges and dumped 3-4 cups of ice in my jersey. I would try to pack my jersey, front and back, with ice every station. The combo of cold water and ice on me seemed to really help cool me down. I could feel my body really start suffering in the heat leading up to each aid station. After the turn around in Keauhou, I really wanted to start walking. I didn’t seem to have the mental and physical energy to keep going, and the heat was just zapping energy from me. I set a goal to run to each aid station, 1 mile apart, and then walk all I wanted after that. After I got water and ice on me, I was able to muster enough energy to run to the next aid station. However, at this point, my pace was really suffering. I was running about 8 min/mile pace and then walking the aid stations, which put me closer to an 8:30 avg pace. I decided it was the best strategy for the situation even though I knew my time was going to be much slower than any previous race. After getting back in to Kona we made the right turn up Palani. I looked up Palani and immediately knew I was going to have to walk it (I guess most the pros walk it too). I figured running wouldn’t be much faster and would only destroy me fully. 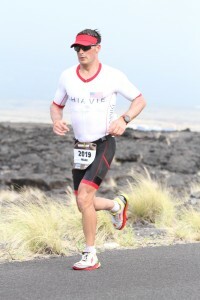 After Palani, I finally got out on the Queen K and began running again. Out of the Queen K, there were no crowds of people like on Ali’i. It was all business. Mentally, I just tried to focus on the next aid station. I ended up switching to water and coke at each station at mile 10. The coke seemed to help a bit more, but my stomach still wasn’t happy. I finally made it out to the Natural Energy lab and turned left off the Queen K. We had a nice long downhill run through the energy lab before turning around and running back up to the Queen K. At that point, I mentally started doing better because I knew I was almost done and I knew I would finish even though, physically, I was breaking down pretty quickly. The run back into town seemed to take forever and seemed to be all uphill. I would feel it getting a little cooler as the sun was getting lower on the horizon. The run going down Palani was painful and fun as the crowds were out and cheering everyone through. 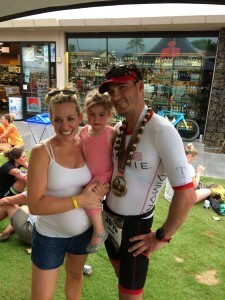 As I made my way back to Ali’i I tried to really enjoy the whole experience of the finish. Ali’i was packed with people and I could hear Mike Riley yelling out finisher names. It was a great experience running down the finisher shoot and to the line. 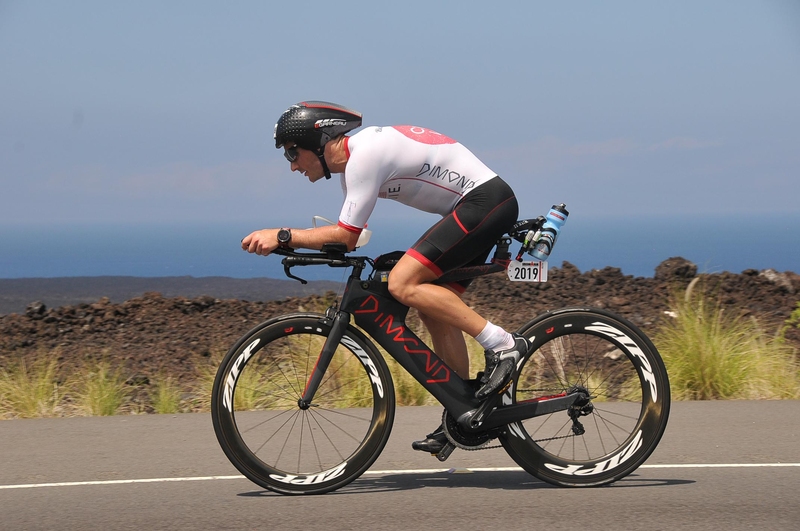 I’m super proud of being able to have raced in Kona with all the other amazing athletes. I hope to be able to come back soon. 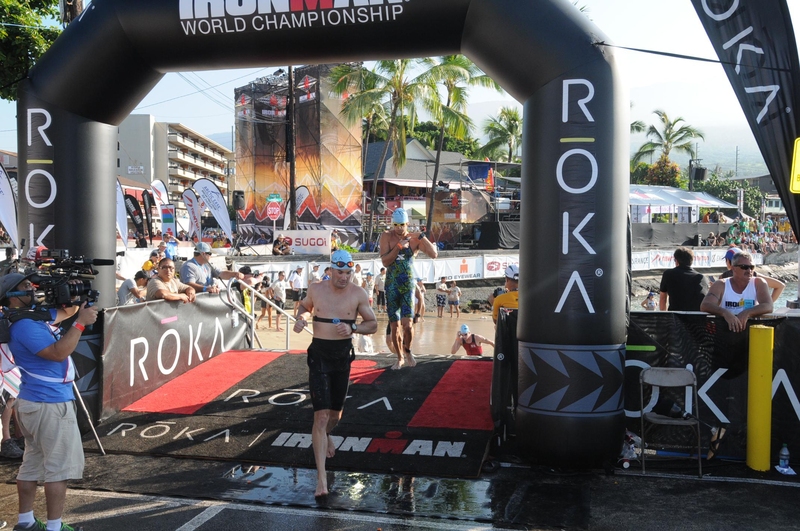 Kona was an overall great experience, and so far, my favorite Ironman. From a training and racing perspective, I put a lot of effort into learning about myself for this race and how to handle and manage heat. I’m really happy I put in the time to come a bit closer to learning how I handle these types of stresses. I loved the overall experience of Kona. Aside from walking around dripping sweat, there are lots of great things to see and activities to do. I was able to also meet so many great athletes and hear their amazing stories. With a high sweat rate comes challenges with athletic activity an athletic performance that I am all too familiar with. When it’s a hot day out and I have a workout, I usually fall apart. All of my worst training days have been when it’s hot out. I can easily lose 10+ pounds of weight during a long run or bike ride if I don’t pay attention and plan my hydration needs. 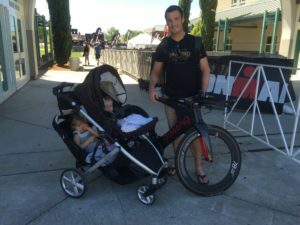 This has become more of a front and center issue in the last couple years after choosing to start Ironman racing and training. For shorter distances, sweat loss can be managed without too much thought. With the long distances, I really needed to make sure I understood how to manage water loss and dehydration for both training and racing. 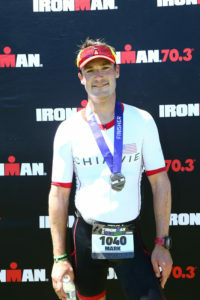 I have been lucky up till now that all of my Ironman events have been in relatively cooler weather. Training in Monterey County also tends itself to mostly cooler weather, especially in the early morning or later afternoon, when I tend to do the majority of my training. 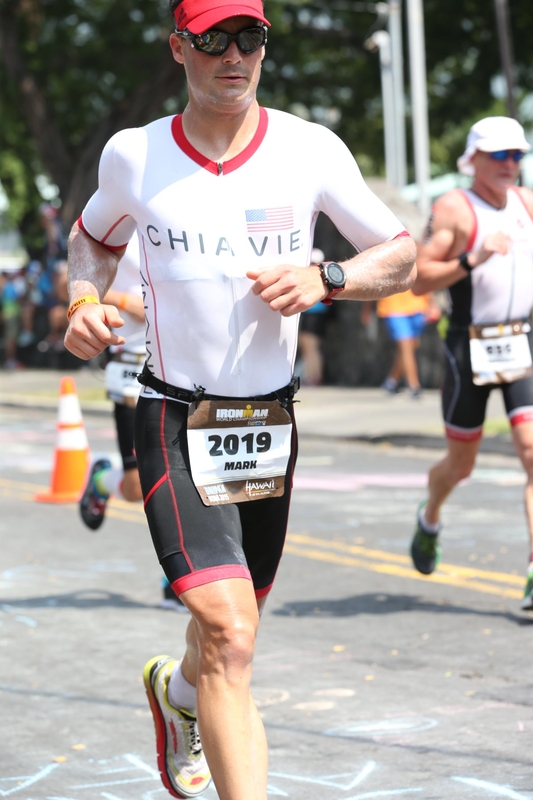 When I qualified for Kona, I knew I would have to take a serious approach to understanding my sweating “problem” and my overall hydration needs for hot weather racing. 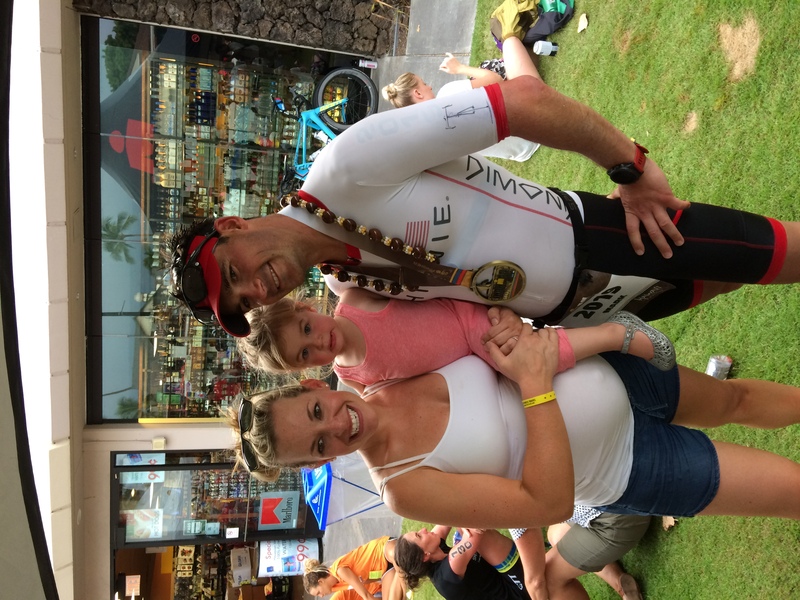 I knew I couldn’t just cross my fingers and hope for a cool day in Kona… it wasn’t going to happen. My first step was to quantify my sweat rate. This is very easy to do. I simply weighed myself before and after workouts, and also weighed all the fluids I consumed during my workouts. I could calculate total weight loss over the length of my run and bike ride and account that for sweat lost during the activity. 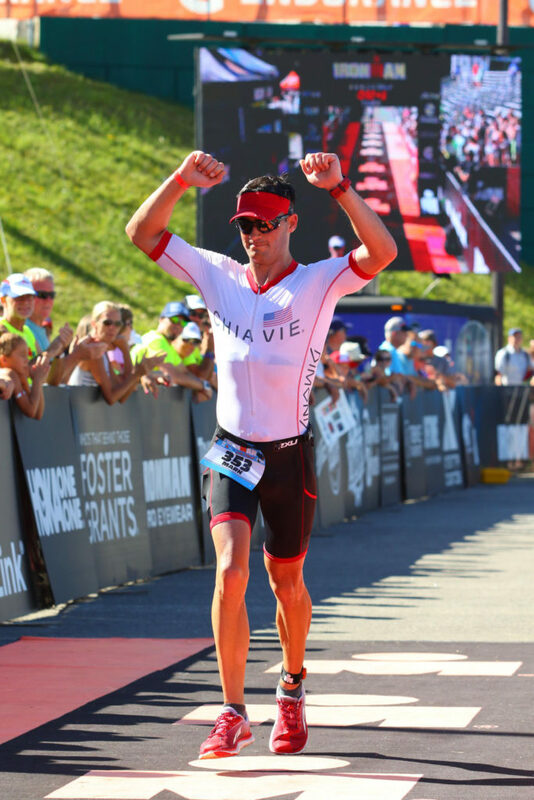 I started doing this in August, leading up to Ironman Kona for key workouts (typically on hotter days). I also recorded the average temperature during the workout and also my average pace or power for the workout. My hope was to correlate a sweat rate to a temperature and to an effort level. With this, I could approximate my sweat rate for a given effort level and air temperature. From the above, you can see that 1.5 L/hr was a rough idea of my sweat rate on the bike. The last entry is actually my Ironman Kona Race Rehearsal, so the power would be close to race day. You can see I lost over 16 lbs of sweat on that ride, and it was under 70 degrees out. That’s a lot of sweat! I nailed the hydration though, because I lost no weight at all on the ride. Of course, I really didn’t hit any temperatures which would accurately represent the heat I would get in Kona. I was lucky to see some unusually high temps for Monterey, but that still wasn’t enough. I wonder if there is a maximum sweat rate at which you really can’t sweat any more. I imagine, at some point I would hit my maximum sweat rate and temperatures above a certain point wouldn’t matter as I wouldn’t sweat any more. From the above, you can see I can easily hit 3 L/hr sweat rate when it began to heat up above 80 degrees. To me, this was most disturbing part of my findings. 3 L/hr is a ton of sweat. There is no way I can drink anywhere close to 3 L/hr while running. 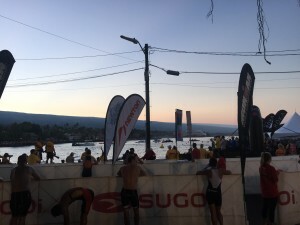 During this time of testing, I was also doing sauna heat acclimatization where I would sit in a dry sauna for 15-45 minutes 3-4 days a week to prepare for the Kona heat. Heat acclimatization increases blood plasma and also increases ones sweat rate and affects how quickly they begin to sweat. I could see the affects of this in the data as my sweat rate did seem to increase per temperature/pace over time. I’m still not sure if this is a great strategy for me. Given that I already sweat more than most, I’m not sure I want to make my body sweat even more. I’m not sure that extra sweat means more cooling or if it just means I can dehydrate that much easier. I’m still not sure heat acclimatization works for me and my situation, where I already have a very high sweat rate at baseline. I need to do some more research on this to see what is best for me next time. I also did the same testing for swimming, but I noticed I didn’t really lose any weight swimming. The only weight I lost swimming was actually due to going pee (yes I get out of the pool or wait till after the workout) and not due to any sweating that I could measure. My fluid loss for swimming was under 0.1 L/hr. Just as I expected… I was on the extreme end of the scale for sweat rate and also sodium loss. The above equates to 1403 mg of sodium lost per liter of sweat. That’s a crazy amount of sodium! The FDA RDA for sodium is 2300 mg per day for an adult. That means, in 1 hour of running (3L of sweat), I lose almost 2 full days intake of salt…. In 1 hour! So now, I had a good idea of my sweat loss rate and also a data point for my sodium loss rate. Now the question is, how much do I need to replace during a race. All of it? Some of it? None of it? Certainly, I knew I needed to replace most of my fluid loss. I know that when I get below 155 lbs of body weight I feel pretty crummy and fall apart on the bike or run. So I know I can’t lose more weight to get below 155 (or I cramp up and can barely move). But what about sodium? I’ve never really taken salt pills or any sodium supplement outside of what was in my sports drink and food. The new school of thought, specifically from people like Tim Noakes and Phil Maffetone is, you just need to drink to thirst and do not need to supplement with electrolytes like sodium. I have been following Tim Noakes and his ideas for a while. I have read his book Waterlogged, and listed to countless podcasts and read countless articles from him. His concept is very appealing because it relies on listening to the body and only drinking when thirsty. This is really appealing because it takes all the work out of trying to stay hydrated… just drink when you’re thirsty and you’ll be fine. Noakes also doesn’t recommend sodium supplementation when exercising because, he says, our bodies have enough internally stored sodium to sustain us and that sodium loss (as measured per the test above) has more to due to your daily salt intake from diet than your sodium needs during exercise. The problem for me is I have used this theory and have had very limited success with it. 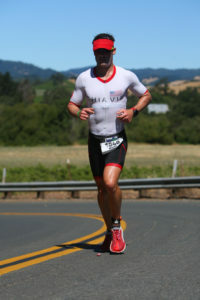 I tended to train and usually race using thirst as a guide for water intake, and also not supplemented with any sodium. The problem for me, as mentioned above, is I always fall apart on hot days or long workouts. All my race rehearsal training days, where I worked out for 5-8 hours, have always been huge failures due to dehydration (as measured via body weight loss). I always cramped up so bad I could barely move and barely made it home. I feel like I’m pretty in touch with my body and how I’m feeling, but maybe I have no idea when I’m thirsty and I don’t drink when I should. Whatever it is, the drinking to thirst theory doesn’t seem to work well for me right now. I decided for Kona, to not follow that school of thought and go back to a more prescribed approach to fluid intake and sodium intake, at least as a starting point. So next I needed to figure out how much fluid and sodium I should take at Kona. On the bike, I knew I could manage the 1.5 L/hr of water I would be losing as I had practiced taking in this much water quite a few times. The run as another story. There is no way I could drink anywhere near 3 L/hr to replace all my fluid loss. I’ve heard some say that about 800 mL/hr is about all you can absorb. I was hoping that wasn’t true. I next contacted Skratch Labs to get some help. They seemed to be really on top of helping endurance athletes with their hydration needs and I liked their products for all of my training. Skratch was a great help, and after a couple back-and-fourths over email, I got a great understanding of how they approached hydration and fluid replacement. 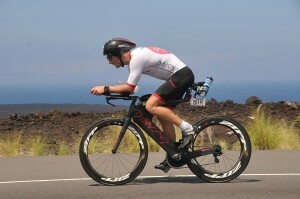 From this I began to build out my baseline formulas for my Kona hydration planning. The starting point is your baseline body weight and then a maximum acceptable dehydration level. Skratch said that they have seen 4% dehydration as an acceptable level before performance loss. I would agree with this based on my data, as my baseline body weight is 162 lbs, so 4% dehydration would be about 155 lbs (right where I notice I begin to fall apart). From there, they key is really pre-loading with fluid before starting the race. Using something like Skratch Hyper Hydration Mix, you can use the extra sodium it has to help with water retention to preload your body with sodium and fluid. If I am able to pre-load my body with fluid, and taking into account an acceptable level of dehydration throughout the race, I can come up a level of fluid replacement needed in the race which will be a certain level less than the fluid lost due to sweat. I start by entering my body weight and level of acceptable dehydration after the race. I also enter anticipated race times (don’t need this too much as you can plan on a per-hour basis if needed). I then enter all my expected sweat rates for swim, bike and run. The output on the right, shows my acceptable fluid deficit per hour in mL (293.9). This means, for a 10 hour race, I do not need to replace 293.9 mL per hour of my sweat loss. So if I sweat at 1 L/hr, I would only need to take in (1L – 293.9mL) 706.1 mL/hr of fluid in order to be fine and still be at only 4% dehydration after the race. From there, I estimated I can pre-load fluid the days leading up to the race and race morning up to a total of 1.5 L. This would mean my body would be heavier when I started the race by that extra 1.5L of fluid I would be holding (with the help of sodium). This would then put my acceptable fluid deficit even higher at 443.9 mL/hr. In the totals you can see I expected to lose 18.8L of fluid during the race but only needed to replace 14.4L during the whole race. Next is to figure out how to replace that 14.4L of fluid throughout the race. I obviously cannot replace it during the swim (unless I end up drinking ocean water). I played with different replacement rates for swim, bike and run. I put in 0% for swim, since I would not be drinking any during the swim. I tried to hit over 100% replacement on the bike, just because I knew it was easier to handle drinking water on the bike than while running. If I hit 102% replacement of fluid on the bike and only 57% replacement on the run, then I still could hit that 14.4 L of total fluid needed. I thought this would be the best strategy for me in Kona. This level of fluid replacement ended up being about 70% of my BTA bottle per aid station on the bike and about 10 fl oz of fluid per aid station on the run. Pretty doable. One other very important thing to note (that Skratch brought to my attention) that plays into this is managing body temperature. If I could use external cooling to lower my sweat rate, I would be in a much better position and not need quite as much fluid replacement, and more wiggle room with these numbers. 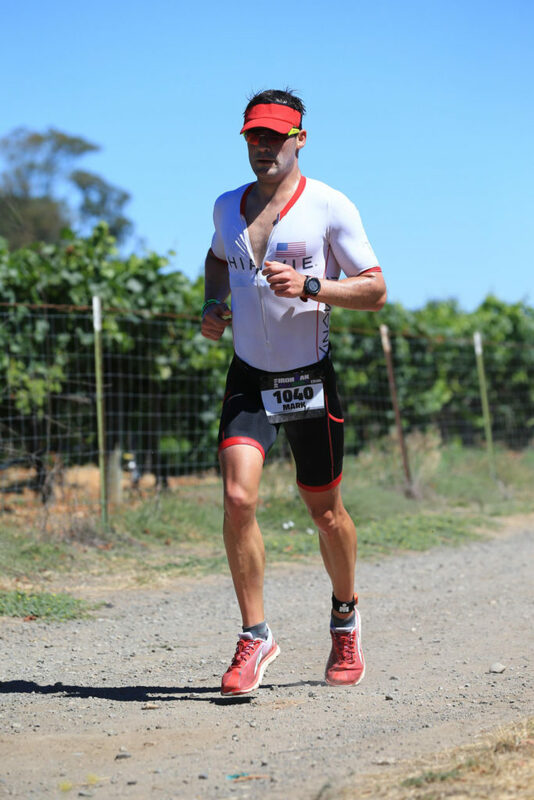 Keeping the body cool by dumping water on your body during the bike and run, and using ice could really bring down my total fluid needs by reducing my sweat rate. I didn’t know how to really quantify this, but I knew I chose moderate sweat rates based on Monterey temperatures so, I figure I could just use as much cold water and ice as possible as an experiment in Kona. If anything, I would just be less dehydrated at the end of the day if all worked out. Now that I knew how I planned to replace fluid in the swim, bike and run, I just took my sodium loss rate and figured out about how much sodium I needed to hour and per bottle of water I took in. This would not be all the sodium I lost in sweat, but just like water, I would replace most, but not all, sodium loss for the day. I then thought about when I could take in Skratch Hyper Hydration (pre-swim, bike special needs) and added up how much sodium what was. I took my total sodium needs, subtracted what I would take in from Hyper Hydration (and what is in my food I take in during the race) and then calculated about how many SaltStick pills I would need per hour or per bottle of water. All of this is a bit overkill, I think. I really just wanted to use this as a starting point to figure out how to manage sodium and fluid intake for Kona. I think sometimes, you can overanalyze things which ends up hurting more than helping. But I guess that’s all part of the fun of triathlon. 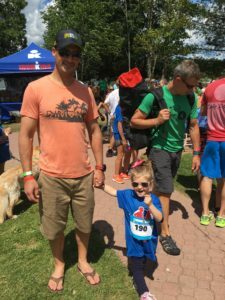 Triathlon is one big problem (or maybe lots of little ones) that is fun and interesting to figure out. In the future, I really want to do another sweat-sodium test for another data point to further validate my own data. I think I have a much better idea of my fluid needs, but am only really scratching the surface on sodium needs. Plus what about all the other electrolytes! I think I would really need to spend a lot of time training and racing in the heat to really dial this in, which probably isn’t going to happen any time soon. 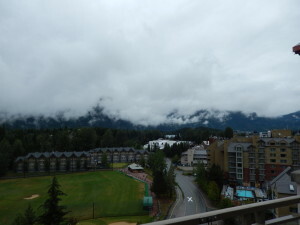 This was my first visit to Canada so the trip to Whistler was highly anticipated for me. I will say, that the drive from Vancouver to Whistler is just amazing. Lots of thick green forest mixed with steep rock faces and aqua-blue water. The scenery did not disappoint. We got in to Whistler the afternoon of Thursday before the race and settled in to our hotel before walking though Whistler Village. The village reminded me a lot of other mountain ski towns in the summer such as Tahoe. 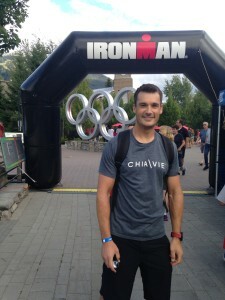 The venue seemed a bit different from other Ironman events I have been to. 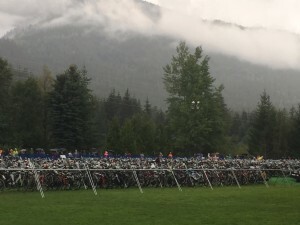 Normally, Ironman seems to be the center of all activities, but in Whistler, Ironman seemed like a small event amongst a lot of other visitors and activates around the area. The downhill mountain bike scene seemed to really be front and center in terms of what people where there for. 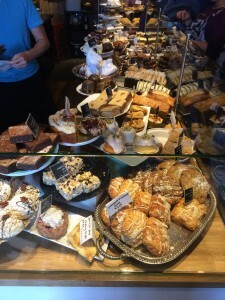 What’s great about the village is all the food choices and even a nice grocery store for anything you could ever want in addition to lots of options for coffee and dessert. 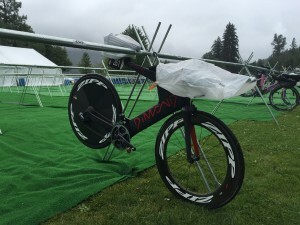 I made my way down to the Ironman village, and picked up my race wheels from RaceDayWheels. What was nice about this trip is I didn’t bring any wheels with me. I brought only my bike, which saved me an extra checked bag. I used my Ruster Sports Hen House with their new carat case to pack up my Dimond bike (super easy by the way) and just put my rented wheels on when I got to Whistler. On Friday morning, after coffee with the family, I decided to take my bike out on the road for a quick ride and make sure everything was in working order. The weather report called for scattered showers throughout the day and I wanted to get out before more rain came in. On my ride, the roads were pretty wet, but at least it wasn’t raining (I hate riding in the rain). I rode 15 minutes on the highway toward Pemberton and then back. The roads, aside from the puddles, were in great condition, and I was looking forward to having the whole lane for the race instead of just the shoulder. I spent the rest of the day, relaxing with the family and enjoying the area by doing the Peak2Peak gondola ride. Saturday morning was bike check-in day. They had early bike check in at 9:30 for AWA athletes, so I packed up my bike and run bags and rode the 2 miles to Alta Lake and T1. There weren’t many people there yet as the shuttle busses hadn’t started yet. 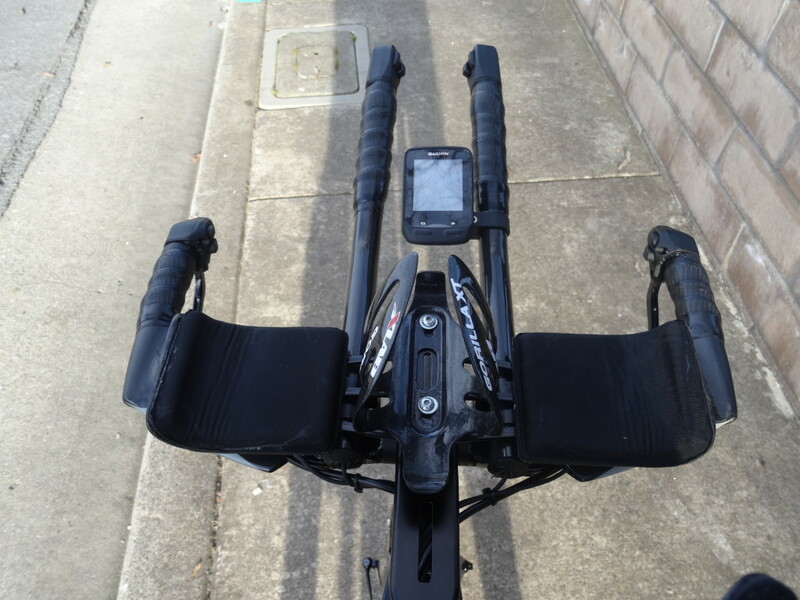 I racked my bike and covered the aero bars and seat with some plastic bags I had. I really didn’t like the idea of leaving my nice Dimond in the rain all night. Right after I checked in my bike, I got my wetsuit on and swam an easy lap in the lake. The water temp was great. Basically, it felt like swimming in a pool, not too hot and not too cold. There was a bit of chop from the wind which made going out a bit harder than coming back. 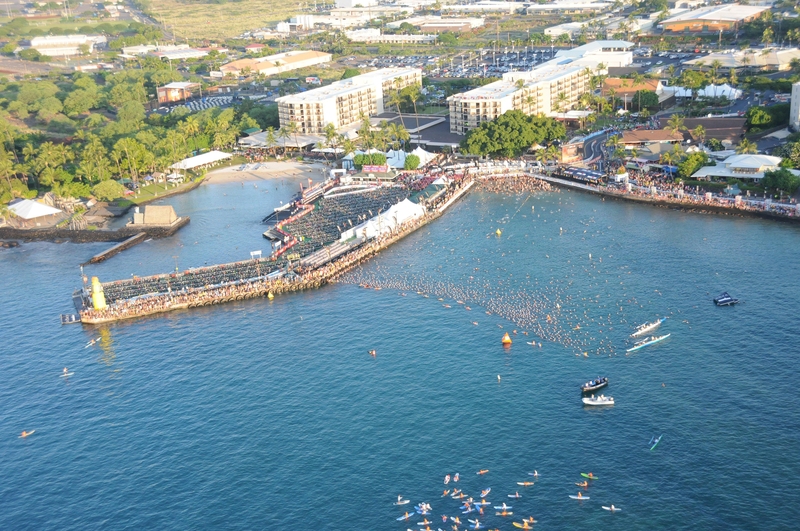 Overall, it seemed like a great swim venue. The rest of Saturday was just relaxing with the family (and checking the weather every 3 minutes). The weather report for race day showed a lot more rain than both Friday and Saturday. I was a bit worried because I really never ride in the rain, so I wasn’t excited about spending all the time wet on the bike. I figured rain was still better than being hot. Sunday morning my alarm went off at 4:30am. I actually got a decent nights sleep, falling asleep a little after 9pm and only waking up a couple times at night. My goal was to eat breakfast before 5am to give me a couple hours before the cannon went off. Breakfast was a couple bowls of granola and milk with raspberries and a sliced apple with lots of nut butter on top. After breakfast and getting dressed I made my way down to T2 to get on the bus to T1. I was happy it wasn’t raining yet, but the ground was soaked and the sky didn’t look too promising. T1 had its typical nervous energy as everyone went about their morning routine. I didn’t have much to do as I decided not to even pump up my tires due to the wet road I knew was ahead. I spent most of that hour talking with friends and trying to enjoy the experience. I finally put on my wetsuit and headed toward the water to watch the pro start. 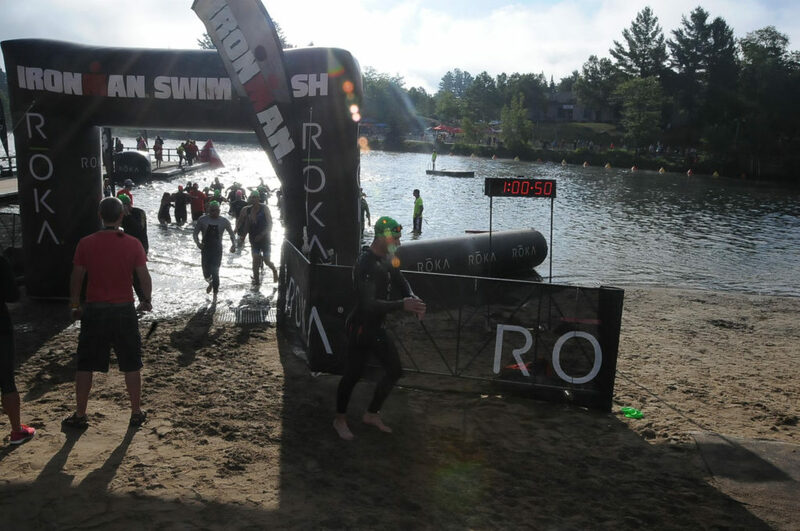 I tried to wait till the last minute to get in the water as I didn’t want to waste any energy treading water before the start, and I’m not one to warmup before an Ironman. I really like mass starts. They are much more energizing for me. When the cannon went off, I started my swim fairly strong and settled in with the masses of others, trying to find feet to follow. There wasn’t too much contact as I didn’t start right along the buoy line, but a little offset, towards the shore to try to find a cleaner (but longer) line to the first turn buoy. On the way to the first turn, I could tell it had started to really rain…hard. I felt bad for all the spectators out in the rain watching. Then I started to think how wet I was going to be on the bike. The first and second turn got a bit tight, but I slowed down and took my time around the buoys. Overall, the swim was pretty uneventful. I really only have a couple speeds when I swim, so I don’t really think about pace, but just try to swim strong without too many hard efforts. Towards the end of the second lap, we started coming up on swimmers finishing their first lap. Things got a little more chaotic as the group I was with tried to get around and find a clean line. After the last turn buoy, it felt like there was a lot more chop in the water, and that last segment really seemed to take forever. I walked out of the water and over to the wetsuit strippers who helped me get my wetsuit off, then I was off to the changing tents. The first thing I noticed in the tent was how hot and muggy it was in there. It was also really busy. I had to find a chair toward the far back because most of the chairs were already taken. I guessed it was due to the bad weather and everyone taking a little longer to put everything on. I struggled for a bit getting my arm warmers on and rolled up… not too easy when you’re wet. I put on my shoes, helmet and gloves and headed toward my bike. I did have a wind breaker in my bag, but chose not to put it on since at that time, I wasn’t cold at all. Probably a big mistake. It was raining pretty hard when I got on my bike and started settling in. Just a few minutes into the ride, and I was already soaked through and starting to get cold. Within a few more minutes I could feel my jaw shattering and my whole body started to shiver and shake. I was getting really really cold, and I couldn’t stop shaking. I wasn’t hungry at all, but I tried to get in some nutrition by drinking some of my UCAN and eating a gel. My goal was 300 calories and hour on the bike from mostly UCAN and a few gels (just to mix it up). It was really hard to even drink from my bottle as my jaw was tight from shivering so much. By the time I got to the base of the Callahan climb, I was in full convulsive shivers. I was really looking forward to the long climb up Callahan by then, hoping I could up my power and warm up a bit. No such luck. Sitting up out of aero, I got hit with more wind on my body and it made me even colder. I was starting to become really miserable. More miserable, than I have ever been on my bike and definitely the longest I had ever been that cold. All the way up Callahan, I kept thinking about how was I ever going to run off this bike feeling like this. My whole body was shivering and my lower back was even shivering and aching. I was really worried about all the wasted energy my body was using shivering: I needed that energy for the run. Going down Callahan was really bad. I was ice cold. I tried to take it really slow, but I didn’t have much braking power at the time. My wet brakes on carbon wheels weren’t really doing much to slow me down. On top of that, I could barely squeeze the brakes, my hands were so cold and my bike was shaking like I had speed wobbles from my shivering as I went down. After making it down Callahan, I made my way back to Whistler village and then out toward Pemberton. The whole time, I was just doing what I could to stay warm. I was freezing and shivering all the way to Pemberton. Once I made it down to Pemberton and started the long flat section, the rain started to ease a bit and I started warming up. I began to feel a little better and even stopped shivering. It wasn’t till then I was really able to look around and enjoy the beautiful scenery. I still felt pretty strong along the flat and was able to hold power and get back to focusing on my nutrition. The long climb back to Whistler seemed to go on forever. Most of the climb back wasn’t too steep, but there were sections that had a good grade and really slowed me down. From Pemberton, I had about 20 miles up climbing to make it back to Whistler. The first 10 miles had some good climbs broken up by some short downhills. The second 10 miles was a lot better and was just a slight uphill grade, but I could at least stay aero. This last section really got me tired, and I was seeing my power harder to hold where I wanted it. I was just ready to get off the bike. 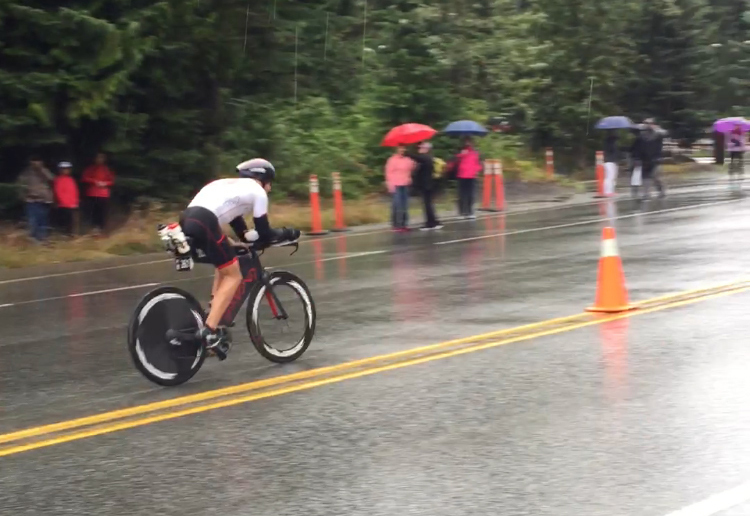 I finally made it back to the village and tried to stretch a little while coasting through all the chutes until T2. I was still very stiff and my lower back was more tight and sore. I finally was able to get off my bike and make it into the T2 tent. I was really slow moving in T2. I left my arm warmers on, just in case the run was cold, but took off my gloves and even changed out my socks for dry socks. I was really moving slow. I had to hit the washroom on the way out in order to get everything out of my bladder, and that added another couple minutes to my already slow pace getting to the run. Right away on the run, I could tell it was going to be a tough day. I usually have good energy from the crowd and seeing family coming out of T2 , but this time, my energy was low and my body was already achy. I had to really slow down my pace and I was really worried I’d be walking later in the run based on how I was feeling. Right out of T2, there is a nice climb which really hurts. So right away my heart rate felt like it shot up and my pace dropped back to what felt like a crawl. On the gravel and dirt trails, I wasn’t feeling too great. My stomach started to bother me and I had to walk a small hill because I didn’t have the energy to run it. Due to my stomach being upset, I really wanted to stop and rest to see if I could reset myself, but I kept moving past aid stations without stopping. Around 4 or 5k, I saw a bee land on my chest, and then felt the sharp pain of its stinger. I cursed out loud. I figured this was a sign I needed to stop. I found the next aid station and stepping into a porta-potty and sat down. I looked for the stinger in my chest, but there wasn’t one there, just a small red mark. I ended up sitting there for about 4 minutes. I knew now, my run time was going to be way off my goal, but at least that took some pressure off me to go too hard. I eventually made it back on course and started running again. My average pace had dropped to 8:30 already with the stop, not good compared to my goal and what I knew I could do. I slowly started to feel a bit better in my stomach. Just stopping somehow reset everything and I began to feel normal again (normal for the marathon part of an Ironman). I was able to get my pace back to 7:50 or so, which is still slow for me, but much better than walking. I ditched my arm warmers as the sun started coming out from the breaking clouds. I mentally, just thought about completing the first lap. After 13 miles, I gave myself permission to take Pepsi at the aid stations (I was only doing on-course Gatorade till then). Also, mentally, after the first 13.1 miles, it feels like the home stretch. I made it through the first lap and started the second lap. I then told myself just to keep it up till mile 18. Mile 18 seems notorious for when the wheels really start coming off for most people. At mile 18, I was still going, slowly, but still chugging along. What was nice, was I never really got to that deep dark place at mile 18 or 20 like I knew could happen. I think maybe the slower run helped not burry myself too deep after that brutal bike. I finally made it to the turn off, where you go left to make another lap, and right to the finish. I was almost there…. Or so I thought. That last section seemed to go on forever. There was a little more uphill, some windy paths, and a long loop up through the village path before making it down to the finish shoot. I was able to ear my name being called as I crossed the line. It was truly an epic day. Hearing the stories from others who went through similar challenges on the bike, made me feel a lot better. Through a lot of the bike and run, I thought I may be walking to the finish, so I’m really happy I was able to keep going. I’ve never been a bath person, but I have never wanted to get in a hot bath so much in my life as when I finished. After getting my stuff and hobbling back to the hotel, I sat in the hot bath until I finally got some feeling back in my limbs. 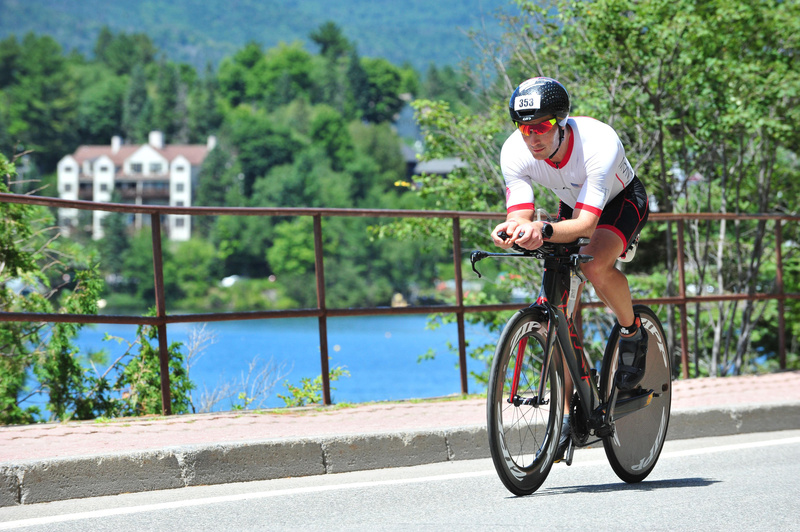 I’m really happy I chose Canada as the venue for my first Ironman of this year. It’s a great location for this great race. Even though, the weather wasn’t ideal leading up to and on race day, it’s still a great place for family and athletes. I also learned a lot about myself from this extra-hard experience. It was even sunny and warm the next few days while we finished out our vacation in Whistler and Vancouver. I’ve heard that some people feel really energized during their taper weeks, leading to a race, with extra energy they can barely control. I’m the opposite. When I start to taper, my body takes the opportunity to completely fall apart. Good thing I am beginning to see this as a trend in all my races, or I’d be worried. 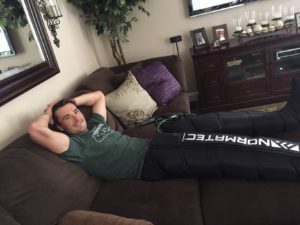 In my two week taper I really felt horrible. I felt tired and fatigued all the time and I barely wanted to even do the easy workouts for the day. I tried my best to get good sleep every night and continue to eat pretty clean. I tried not to limit my diet too much and even ramped up the food the couple days before the race with some extra carbs thrown in for good measure. No giving up anything the week of the race like I’ve heard others do with coffee or alcohol. In fact, it’s become somewhat of a tradition to still have my red wine the night before racing. I slept surprisingly well the night before the race. I never have slept horrible before a race, but this night was exceptionally good. Went to bed around 9pm and woke up at 4:50am, which is very close to my normal sleep any other day. Breakfast was a couple cups of coffee, and a huge bowl of greek yogurt with berries, granola and honey and a packet of Justins almond butter. My goal was to eat about 2 hours before my race start at 7:05. After breakfast I slowly got dressed and grabbed my nutrition bottles from the freezer and got on my bike to ride the mile to transition. Setting up transition was pretty low key. It didn’t take me long to do, so I had a lot of time to just hang out and watch other athletes as well as try to ignore all the nervous energy in the air. I’m notorious for not being able to find my bike coming in to transition, so I made sure to walk the transition and find the best way to spot my bike. As they got closer to my wave start, but put on my Roka wetsuit and made my way to find my group. I find wave starts pretty anti-climactic. I really like the mass starts because of the energy. The wave start just feels small and unimportant. The start was an in water, swim start. 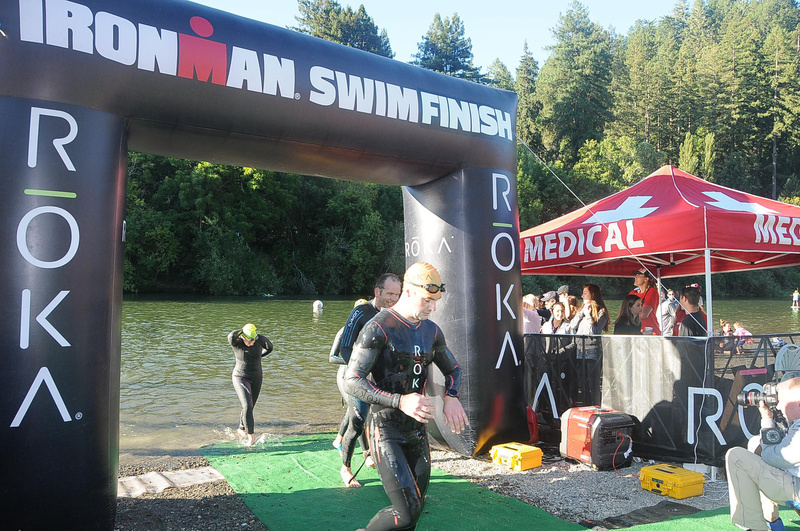 The water was really warm (especially coming from Monterey), so getting in and wading for the start wasn’t an issue. I don’t really even remember the sound of the start (was it a gun, or a cannon, or a beep). I just started swimming when everyone else did. I knew I could sustain a pretty strong pace for 30 minutes and not worry about tiring myself out. The swim was fairly uneventful. I didn’t find anyone’s feet to draft off after the first few hundred yards, so I was on my own. There were people at my feet, which I usually don’t mind as long as they’re not annoyingly swatting my feet. Pretty much all I thought about the whole swim was, don’t swallow any of the nasty harbor water. There were a couple points in the swim where it was hard for me to make out the next buoy to sight. That and every now and then I’d come across a pack of swimmers from a previous wave and have to either go around or fight my way through. As I existed the water on the boat ramp, I looked at my watch and saw 30 minutes. I was really expecting to be a couple minutes faster than that. 30 minutes should be very doable at an even moderate pace. That was somewhat disappointing for me right away. I was pretty happy there was some fog and it was cool out. 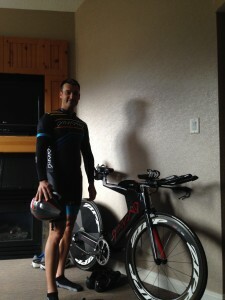 As I got on the road, I got situated in aero and did a quick body and leg check to see how I felt. My quads seemed a bit fatigued which was odd. After getting away from all the people leaving transition I just tried to hold form and focus on keeping my power where I wanted it. My goal was to hold 230 watts, which is a pretty good effort for me over 2.5 hours. I knew it was very doable as I had my race rehearsal at that power for 3 hours without issue. As we headed up the coast, I did notice my heart rate was much higher than I expected. At 230 watts, I would expect my heart rate in the 140s and I was seeing it in the 150s. 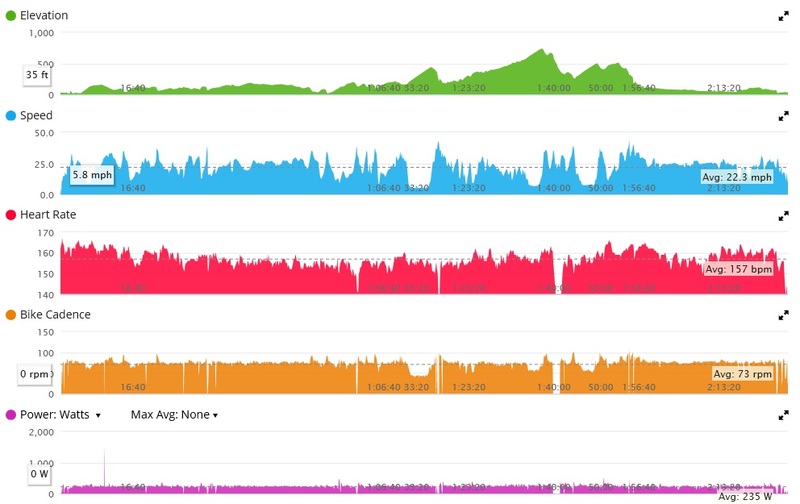 I was a bit concerned, but I usually try not to pay too much attention to heart rate during races as all the race excitement and transition usually gets it going higher. I just focused on looking at power, focusing on my breath and trying to enjoy the ride. I really think that having a positive attitude while racing is so valuable. I always remind myself to look around and enjoy the moments during each part of the course. I even try to smile at people or say encouraging words as I pass them or get passed. The course was a really great bike ride. We weren’t in traffic like some other races I have been in. Lots of rolling hills and a few good climbs and lots of pretty scenery. The fog started lifting and the sun came out about a third of the way through the ride. 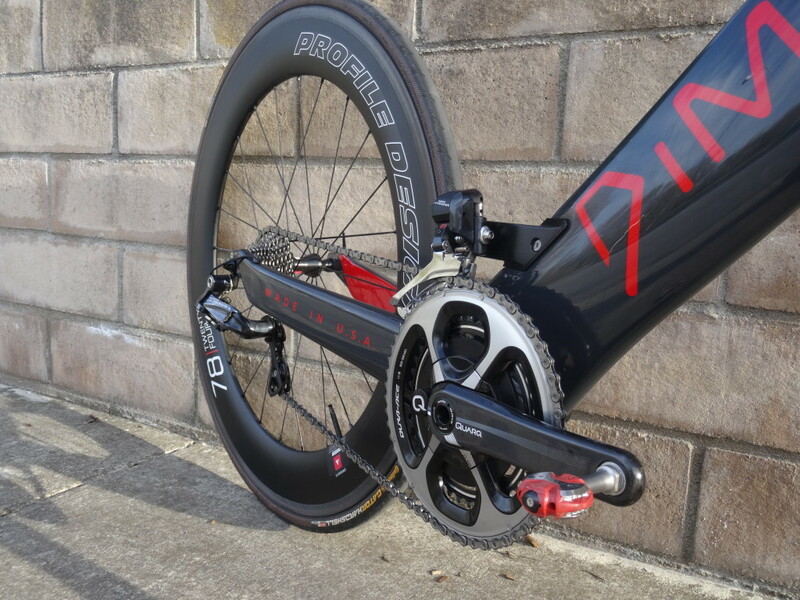 I will say the Dimond is a fast bike. I just flew by people on the flat sections and downhill’s without too much effort. I will say, I don’t think I passed anyone on the up hills. I try to flatten the course by not going to high above my target power on the climbs. And this means, it feels like I am going very slow and easy on the climbs. People would blow by me like I was standing still every climb. I guess we all have our different strategies. For nutrition, my goal was to take in 300 calories an hour. I knew the bike would take me about 2.5 hours to complete. I had 2 HoneyStinger honey gels, 1 HoneyStringer gummy packet, and they rest of the calories came from a UCAN bottle I had behind the seat. Because it was pretty cool, I only drank 2 bottles of water from my BTA bottle (refilling it only once). I did bring salt with me, but dropped that on accident right away, so I never was able to take any. The last handful of miles on the bike, as I made my way back to the coast, were really nice. It was flat and I had the whole road to myself. I could only see one person way in front of me, and couldn’t easily see anyone behind me. It was kind of nice to just be alone on the road. 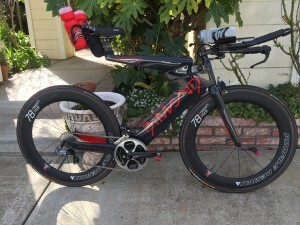 As I made my way back into transition, I wanted to try something new to speed up my transition times. I wanted to dismount the bike and leave my shoes on the pedals. In all other races, I run back to transition in my shoes, which is uncomfortable and slow. I really mis-timed this and ended up taking off shoes about a mile before transition, so I had to pedal the last mile with my feet on top of my shoes and not in my shoes. As usual, as I started to run, I did a quick leg check. It seemed everything was normal. I had that weird feeling I always get running off the bike. My “on paper” goal was 7:15 pace to start with and then pick it up half way through if I felt strong. I decided to try for a 7 min pace right away since I was feeling good and then I could always back off a bit if needed. The run is pretty flat except for a few quick steep sections where you’re going up or down to the Strand. Those sections really take some effort to get through. What always happens to me during races, is my feet fall asleep and I get that needle feeling in both feet. I cannot figure it out. But that happened after a couple miles of running and I really lose a lot of feeling in my feet. Luckily it went away after about 8-9 miles. I really need to figure that out. I never really have a great nutrition plan on my runs. I just took in sports drink from every aid station and then dumped a cup of water on my head. I figure the run is only 1.5 hours, so it’s not long enough to really put a lot of effort into nutrition. I was able to keep a good 7 min pace the whole run. I even had to hold back a few times because I noticed I was picking up the pace. I kept telling myself to wait till mile 10, then pick up the pace all you want. Once mile 10 came, I was starting to get somewhat tired, and I ended up really not picking up the pace at all. I will say, the crowd support coming in for the finish is amazing. That was the best experience of the whole race. I really enjoyed this race a lot. I think the course is great. 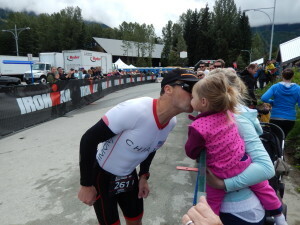 It also helps to have family that has a condo right at the finish. Logistically, the only pain was having to go back to transition after the race to pick up my bike. That mile walk was hard, especially since we were in a rush to get in the car to make it to Santa Barbara for dinner reservations. Looking back on my times, I have a lot of room for improvement. I was happy that I hit all my pace goals, but my transition times were downright horrible. Everyone else in my age group around my splits are doing 3 and 2 min transition times and I’m doing over 4 min in each transition. I could easily gain 4 minutes just by being competitive in transition times. That’s something I really need to work on. 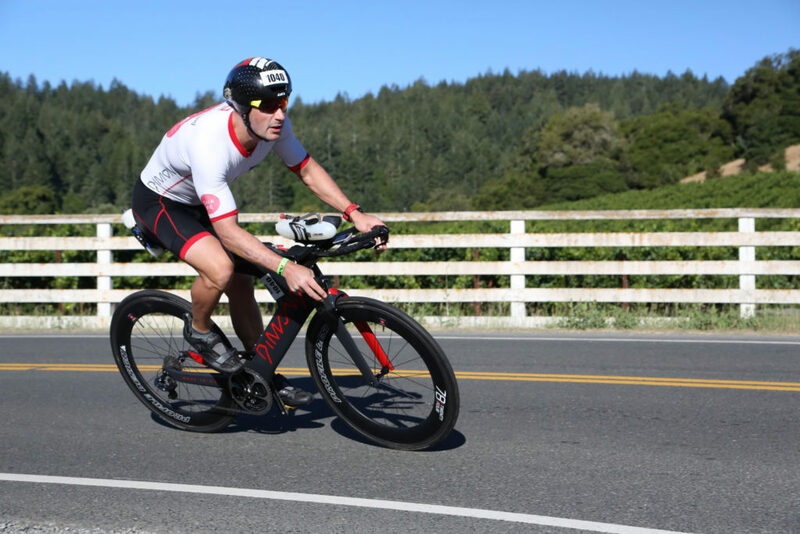 When I first started preparing for Ironman racing I didn’t really understand why so many triathletes spend so much time obsessing over changes to their bike or position or buying new and more aero equipment that saves seconds or maybe minutes over an Iron distance bike race. I understand that obsessing, talking about and planning are all part of the fun and lifestyle of the sport. But I didn’t understand why a couple minutes over a 10 hour race would really matter all too much. 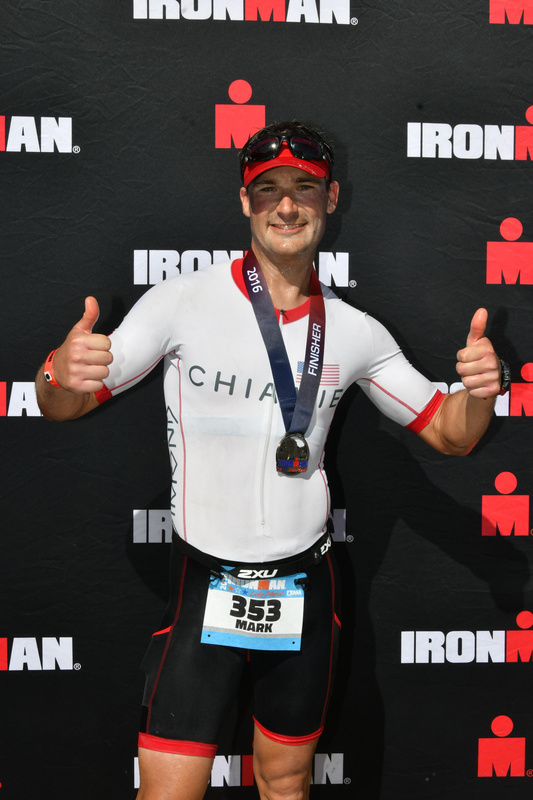 After I did Ironman Chattanooga, my opinion changed a little bit. I had placed third in my age group. The fourth place finisher was less than 2 minutes behind me and fifth place was under 2 minutes behind him. 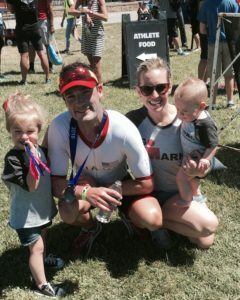 I was lucky enough to get a spot to Kona for my finish, but it made me look at those seconds and minutes a little bit differently. 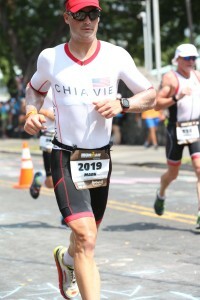 If, for Chattanooga, I hadn’t had a disc wheel, or hadn’t used an aero helmet, or had listened to my wife, and not shaved my legs, I most likely would not have received the Kona slot. Now what if I was on a faster bike, maybe I could place even higher. I began to see that little things in aggregate make big differences. It was this reasoning, or maybe I just like buying new things, which made me start looking at what fancy new things I could upgrade for 2015. 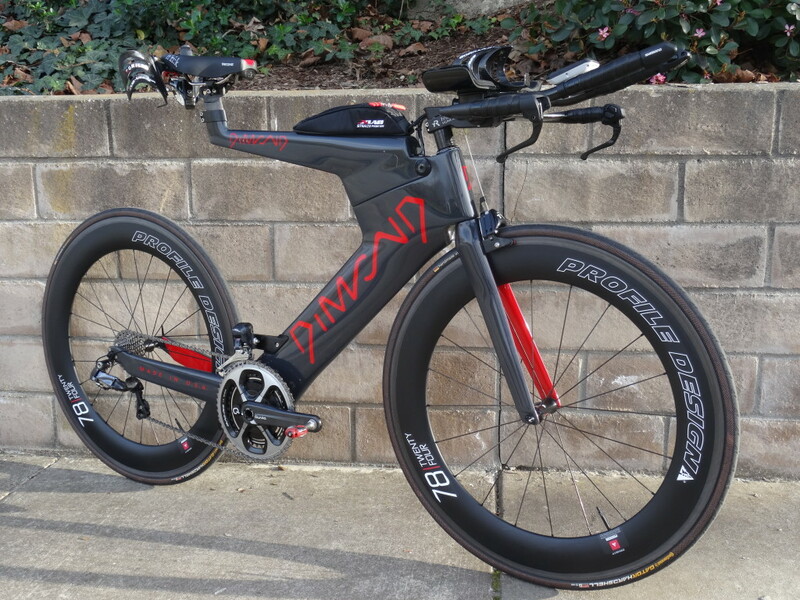 The most obvious was the bike itself: the foundation (and most expensive) of triathlon purchases. 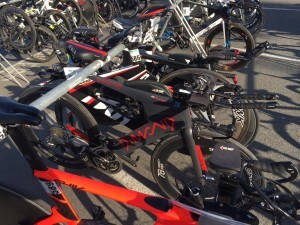 Of course, the lure of a high end super bike is everywhere in triathlon. My research led me to a few options to drool over. 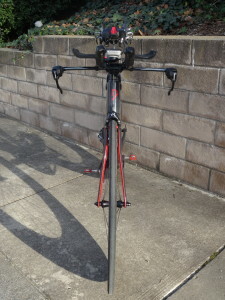 I could dream of going after something tried and true like a Shiv or P5, or I could be a bit more risky with some of the latest hype over beam bikes. I started reading about beam bikes, and specifically the new Dimond and I really liked the concept and the look of the bike. It seemed like the rebirth of a great design, mixed with some new innovation. The story behind the Dimond also resonated well with me. Made in the USA by a small, emerging company. As if the folks at Dimond were reading my mind, I got a nice informative message from them around the same time as I was doing my research on the bike. After learning a bit more from them about their bike and their company, I decided to take a big step and order my own Dimond frame, which they would make for me and have ready at the beginning of 2015. I will also say, that working with Chris at Dimond was a great experience. He was super responsive and helpful when it came to the whole process. I can’t say enough about the customer experience during the whole process. Even though I liked the Rotor Power Cranks on my previous bike, I wanted to try something new. Quarq had just come out with their Shimano ring-compatible versions so I thought I would give that a try since Quarq seems to get good reviews. 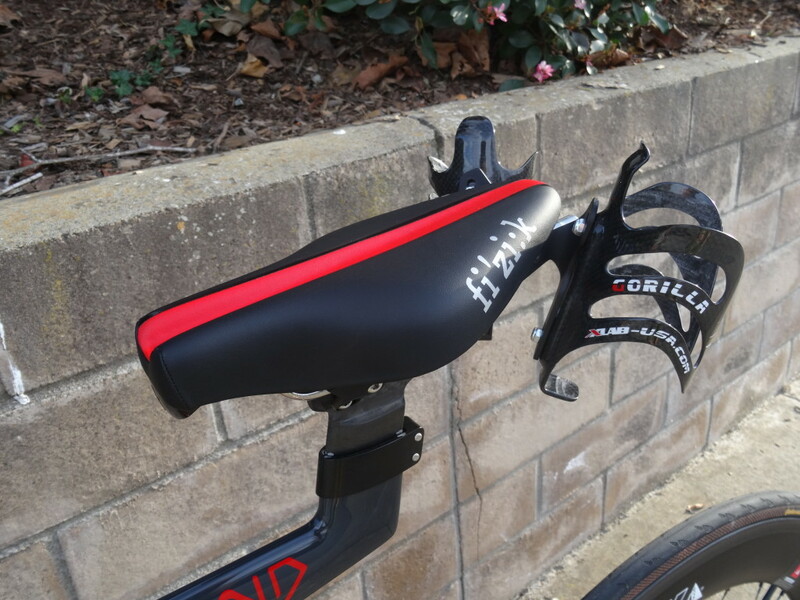 I also chose Tririg for the entire front end of the bike. 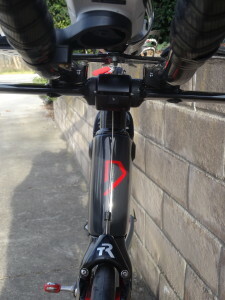 I liked the look of their bars, and the Sigma stem worked well with the Dimond-recommended Omega brakes. 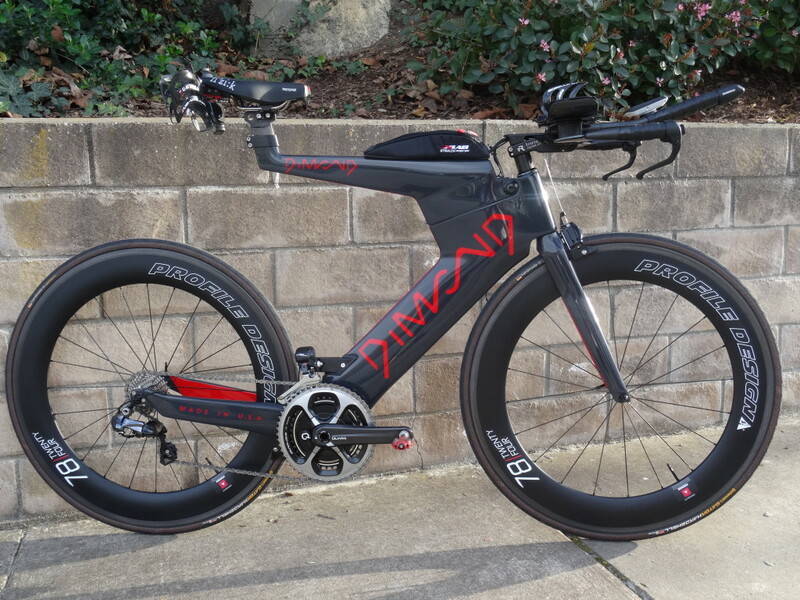 I was originally going to go for some basic training wheels, but non-aero wheels just look funny on the Dimond bike. So I decided to use a set or aero wheels as training wheels, and I’ll figure out what to race on later. The Gator Hardshell tires are the best training tire (especially around here with all the broken glass on the roads). Again, the folks at Dimond bikes were awesome to work with and helped me order all my components and even installed everything on the bike for me. 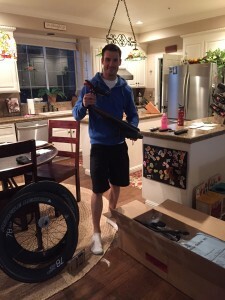 When the bike finally arrived, I was surprised how small the shipping box was. It was amazing to see how small the Dimond bike broke down when the beam is removed. Due to my personality, I actually wanted to wait to really ride the bike until after I was fully fitted on the bike (I like everything to be ready to go). The Tririg gamma bars come extra long and needed to be cut on both ends. 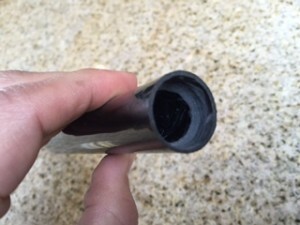 The Dimond seat post also only has an inch or so of adjustment once it’s cut. I didn’t want to do any cutting until I was fitted on the bike. After doing my fitting with Chris at Burnham Coaching, I felt very happy with how I felt sitting on the bike. I was able to get a little lower in the front than on my previous bike and it felt really good. He did have to cut a little on my seat post and then I got my gamma bars cut down to the right length. It took some time and figure the best way to dremel out material from the gamma bars because after cutting, there wasn’t enough room to insert the shifters. My father-in-law brought over his dremel and carefully shaved out some carbon to get the shifters to slide in. Once that all was done, I was ready to go out and ride. Most people would take a new bike out on a short ride. My first ride was a 3-hour sweet spot (hard) ride. That shows my confidence in the bike and build. I think I may have kept smiling the whole ride. It really feels like you’re batman when you ride the Dimond. It just feels fast. And when you feel fast you go fast. 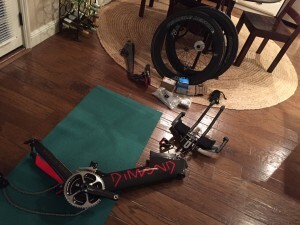 The Dimond is now my only tri bike and I use it for every ride (except on the trainer or in the rain). I love the way it looks and feels. The bike feels really solid. I like how it handles better than my P3. Even when the roads get rough and I get bumped around in the saddle, I feel a lot more solid than I have before on other bikes. So far so good, on this great investment in speed.